Too many rumors and too many leaks. 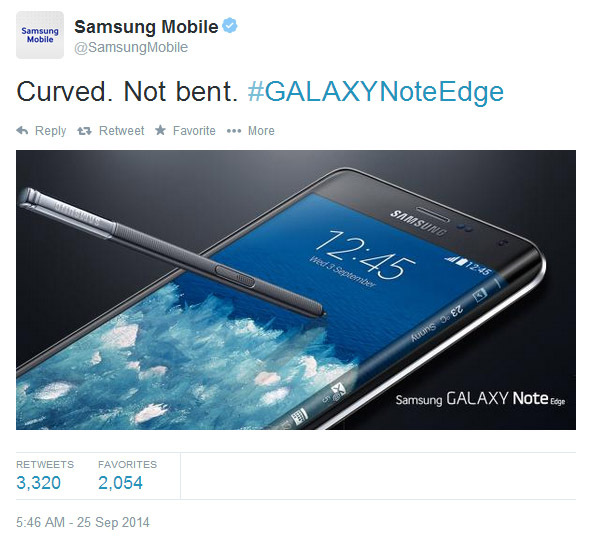 Now, AT&T is getting into the act by showing the same an image of the upcoming curved-body flagship "Galaxy S6 Edge". The only difference is the color scheme used on each teaser. The same "Six Appeal" line is at top which pretty much confirms that Samsung is the source of the Galaxy S6 image used by both mobile operators. Besides the wrap-around glass that will cover each side of the phone, we can also see a power button that appears to have been moved toward the back of the handset. The home button near the bottom of the phone is also visible. 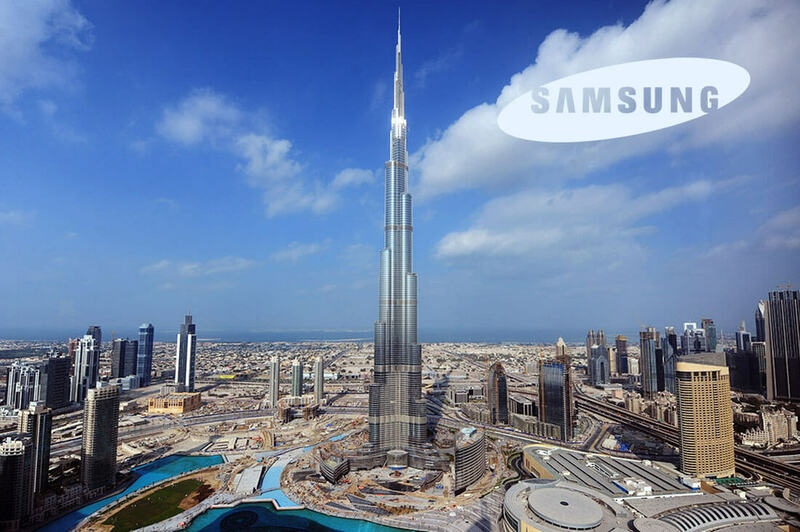 The Galaxy S6 will be formally introduced on March 1st at MWC 2015 in Barcelona. That is next Sunday. 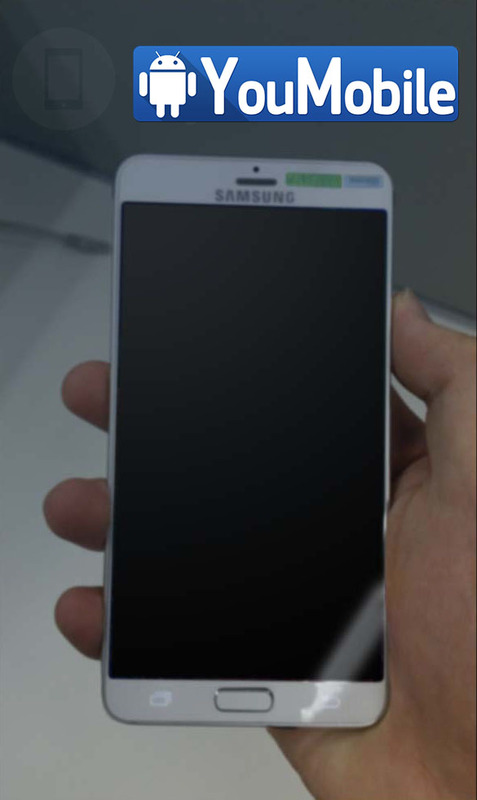 It is finally here, the First Official Press render of the Samsung Galaxy Note 5 and Galaxy S6 edge+ has been leaked online. 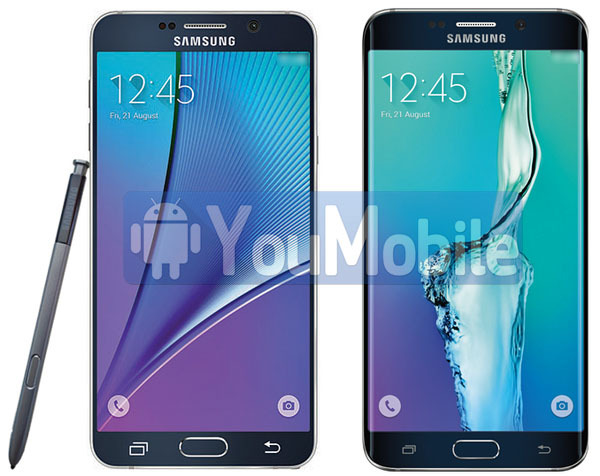 The photo shows a The Galaxy Note 5 with its new stylus, similar shape and design of the S6 but wider. 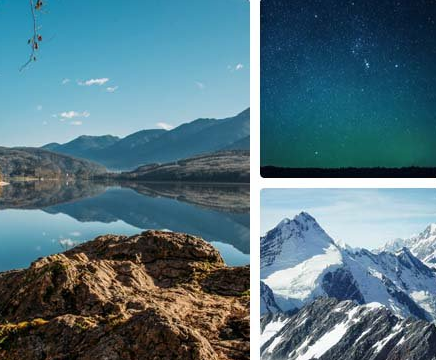 The image also shows the new official wallpaper of the TouchWiz on the latest Android 5.1.1 build that will be pre-installed on the Note 5 devices. 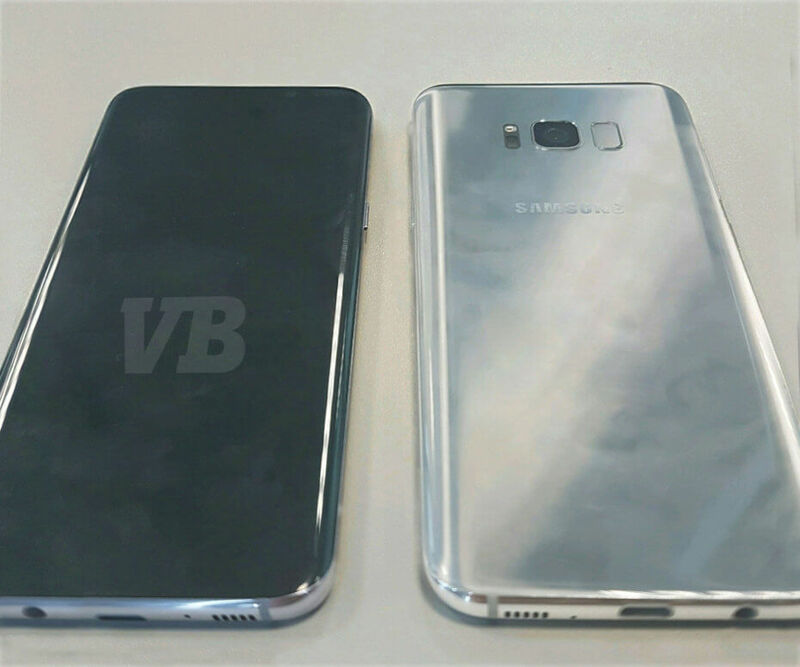 The Galaxy S6 edge+ photo render doesn't show anything new it terms of design, except a thinner bezels in the sides, but we can expect a boost in the device's hardware specs. Both device is expected to launch on Samsung's upcoming Unpacked event on August,13th. Stay tuned! Yes, Planet Earth Now Has its own Flag. 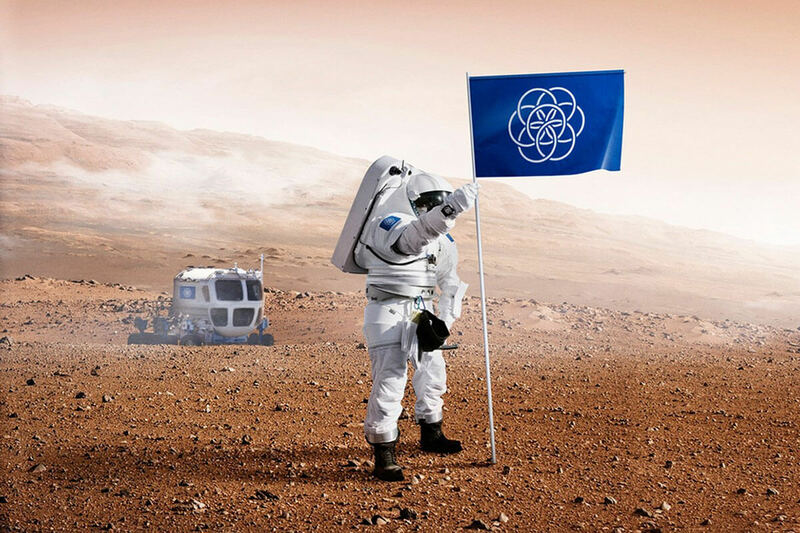 Pledging allegiance to the international flag of our planet could become a worldwide practice with this exciting design of a flag for Earth. 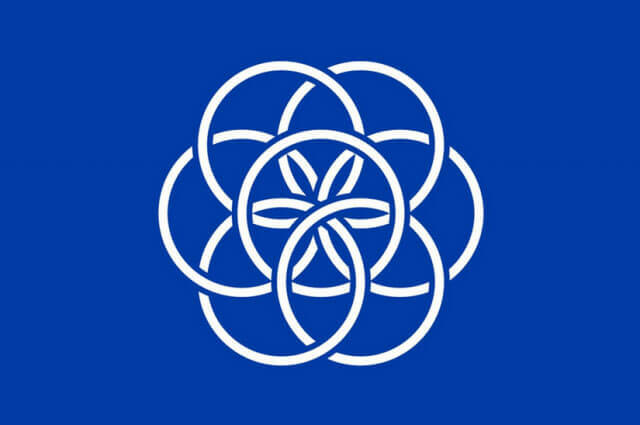 A new project by Oskar Pernefeldt, a graduate-to-be from Beckmans College of Design in Stockholm, Sweden, sees a new flag for the entire planet emblazoned in scenes around the world and beyond. The minimalist design of the flag shows seven rings intertwining on a deep-sea-blue background, forming a flower in the flag's middle. Simple but contemporary, the flag evokes the natural beauty of the Earth. "The blue field represents water which is essential for life also as the oceans cover most of our planet's surface, The flower's outer rings form a circle which could be seen as a symbol of Earth as a planet and the blue surface could represent the Universe." - describes Pernefeldt on his website. If you can't imagine such a flag in use, Pernefeldt's got you covered. 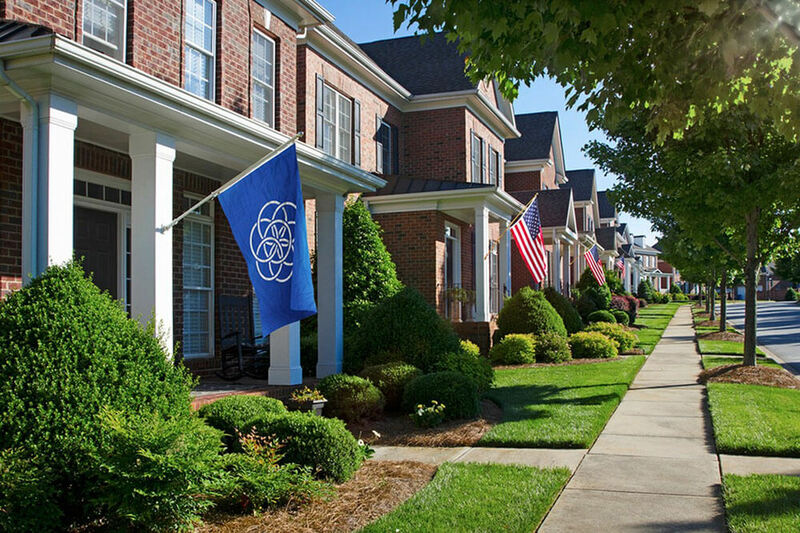 In stunning scenarios envisioned by Pernefeldt, the flag could be part of an astronaut's space suit, displayed proudly outside homes and waved at sporting events. 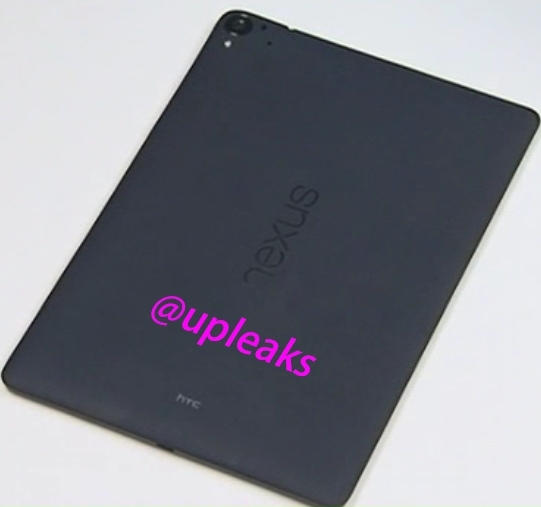 HTC's upcoming Nexus 9 tablet for Google has leaked again in pictures. This time courtesy @upleaks, the latest image shows the back of the tablet. After releasing the flagship device HTC One M9, the Taiwanese company is preapring to relase its mid-ranger brother, HTC One E9, as revealed by a leaked entry in Chinese regulatory authority TENAA. 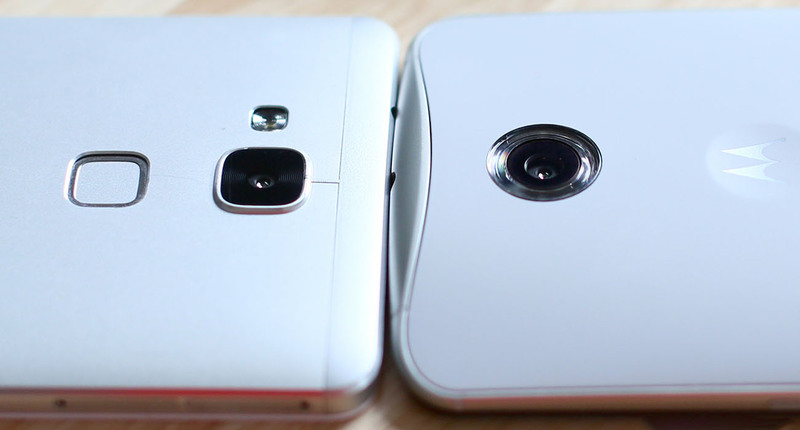 Interestingly enough, the One E9 differs more extensively from the One M9 than the former generation did. Most notably, the screen size has been increased to 5.5-inches and resolution has gotten a bump to QHD, as opposed to the One M9's 5-inch FullHD screen. The One E9 will pack a top-of-the-line Mediatek MT6795 chipset paired with 3GB RAM and 32GB of internal storage. The main camera on the back will be a 20MP unit, behind a large circular lens. On the front you'll find either a 13MP conventional snapper or a 4MP UltraPixel model. The body will measure 156.5 x 76.5 x 7.5mm and a 2800mAh battery will reside inside. The smartphone will offer dual SIM dual standby capability and will boot Lollipop with SenseUI 7.0 out of the box. 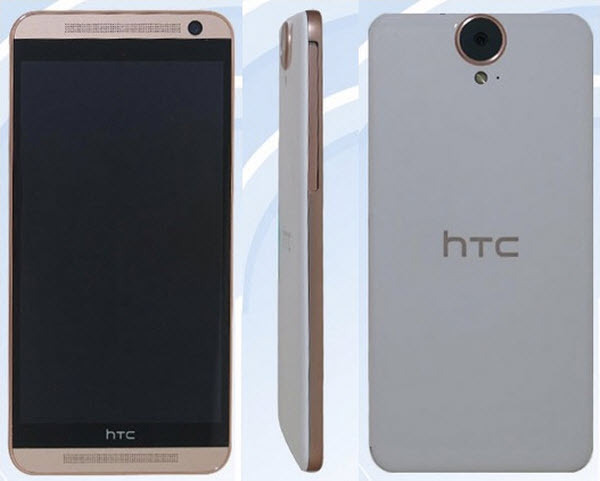 HTC is preparing to release a new High-end device, called HTC One A9 (codenamed Aero). 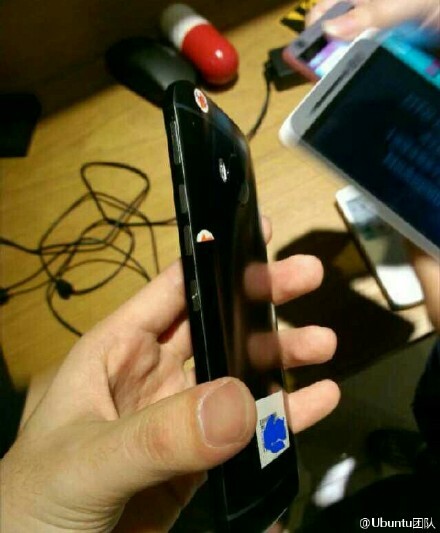 A new live photo leaked in the wild of the HTC One A9 that shows the device size and the body-design. 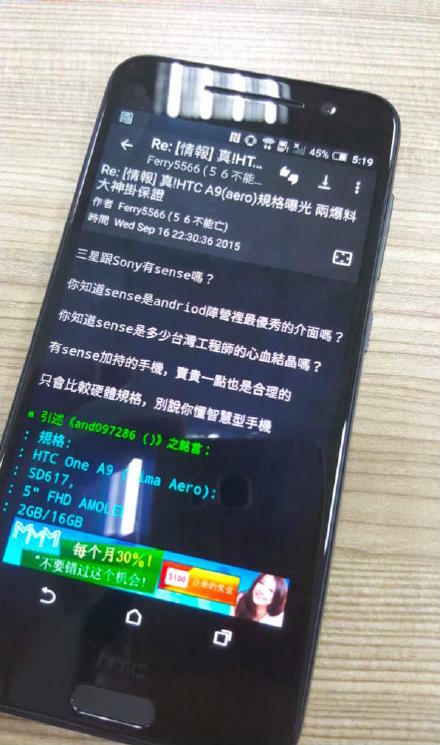 The photo comes to confirm some of the One A9's specs for the umpteenth time, thanks to what can be seen on the phone's screen. We should thus expect it to sport Qualcomm's Snapdragon 617 SoC, 2GB of RAM, 16GB of storage, a 5-inch 1080p touchscreen, and a fingerprint scanner which can be seen below the display as part of that huge bottom bezel. 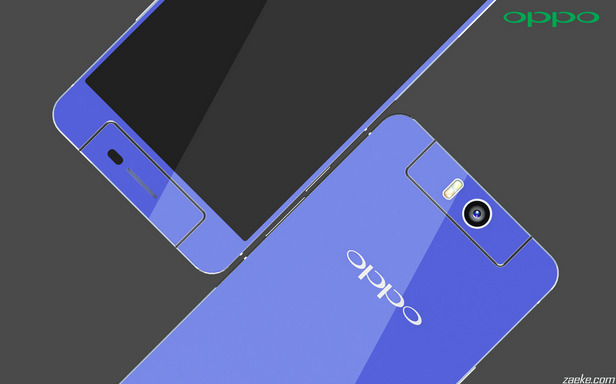 The One A9 may get official at an event next week, on September 29, or its unveiling could be scheduled for October according to one past rumor. If this pans out, then expect to see multi-city events happening in the US for this purpose, and the One A9 getting a big marketing budget afterwards. 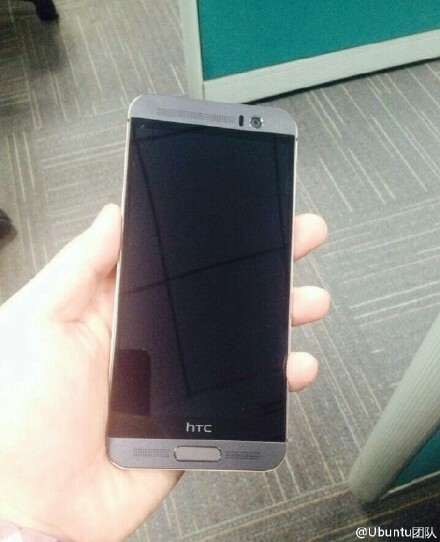 Well, looks like HTC is not done yet... an alleged live photos of HTC One M9 Plus Proto-type device leaked online. 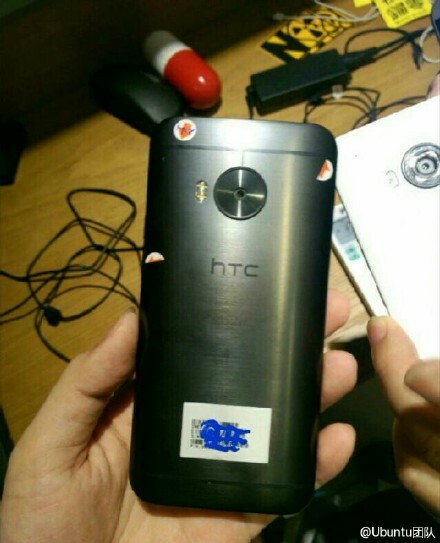 The Photos shows an HTC device with a slightly different design, slightly bigger display, huge rear camera sensor cutout in circular as opposed to squarish in the original One M9 that already debuted. 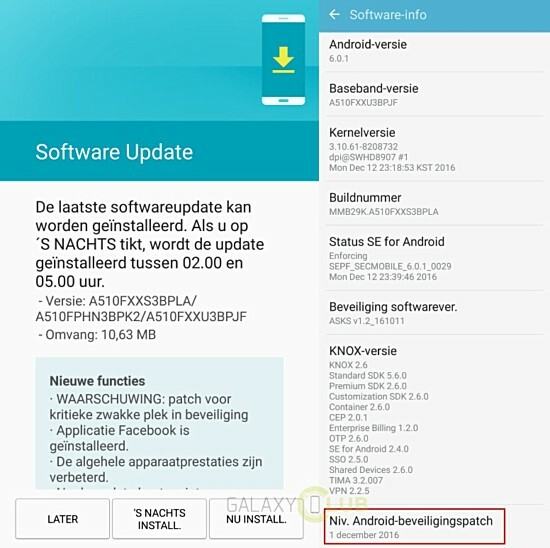 HTC One M9 Plus might debut with two different chipsets - a MediaTek MT6795 model could cater to the Chinese market, while a Snapdragon 810 version will be sold elsewhere. The rest of the device's rumored specs include 5.2" QHD display, fingerprint scanner, 3GB of RAM, and 32GB of expandable memory. 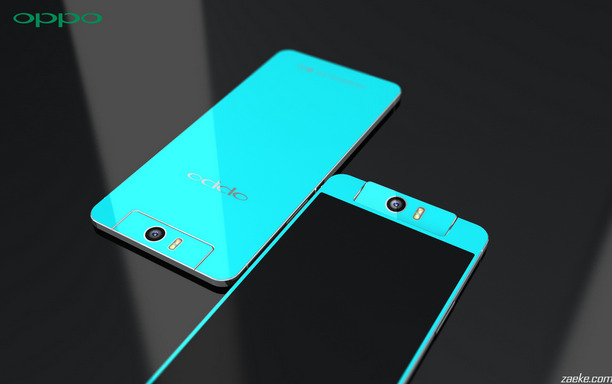 We should expect to see the M9 Plus anytime during Q2,2015. 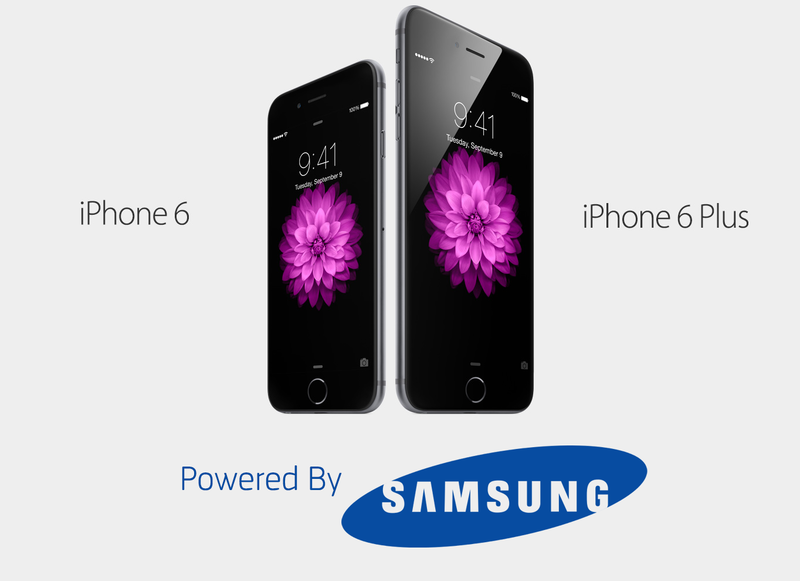 Samsung Philippines tweeted a photo mocking Apple's latest iPhone 6 Plus. 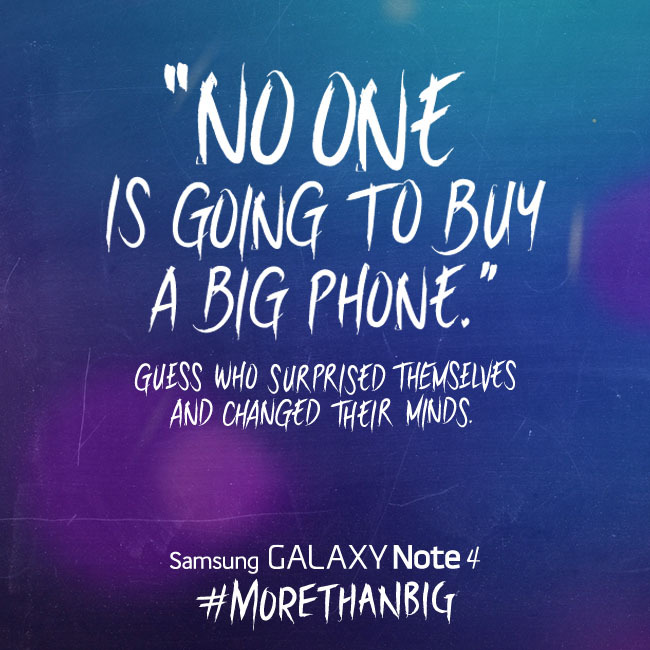 Apple's CEO Steve jobs said in the past on the matter of large smartphones "No one is ever going to buy a big phone," The quote from Jobs dates from July 2010 at an event related to antenna-gate (iPhone 4 release)... 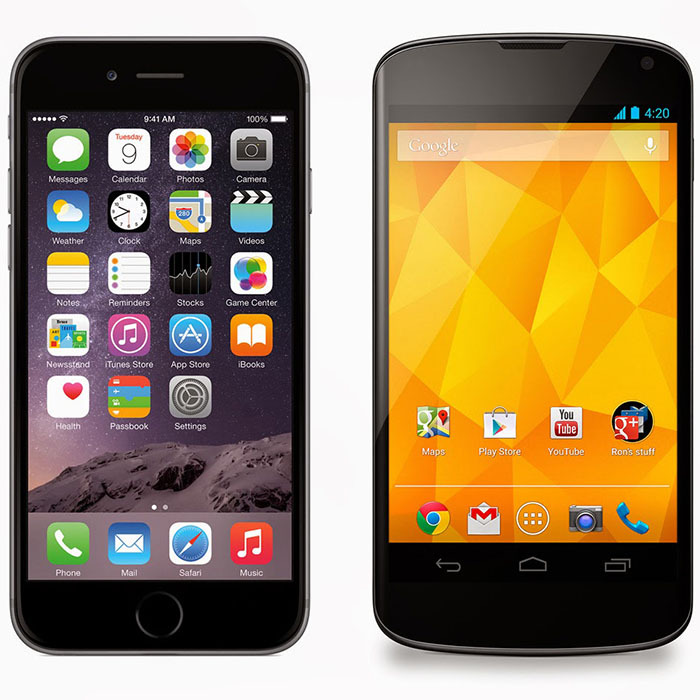 However, Apple's made a pretty big 5.5" Smartphone! As you may recall Apple released the iPhone 6 and iPhone 6 Plus at 4.7" and 5.5", respectively, a display size for smartphones, which Samsung embraced long ago. 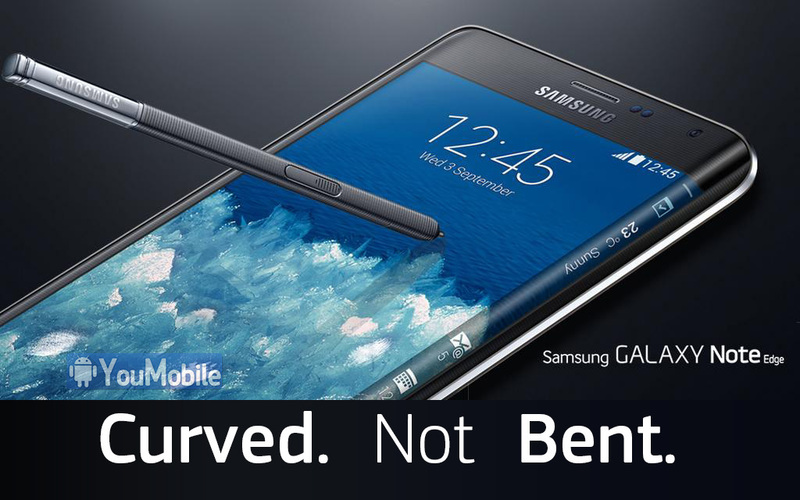 Naturally, the comment on Samsung's side is snarky and goes "Guess who surprised themselves and changed their minds." 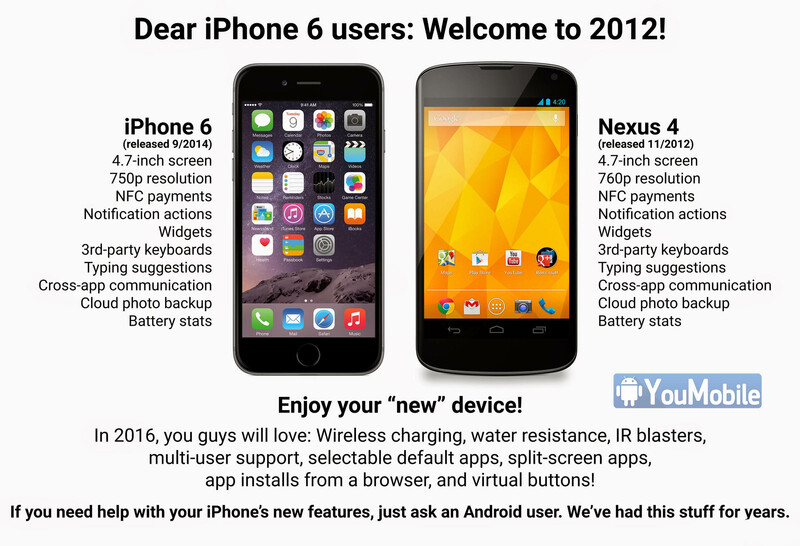 While at it, let's also remember another popular Apple ad regarding the perfect phone size, released back when the iPhone 5 became the company's flagship. 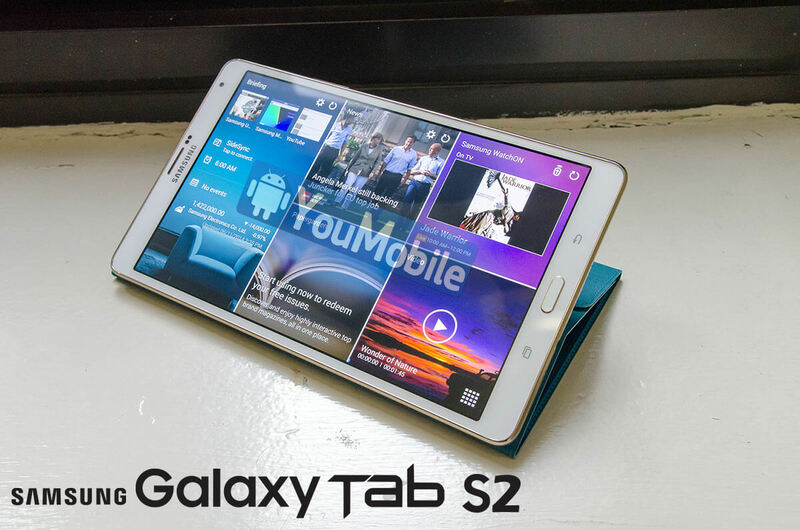 Details about a Samsung Galaxy Tab S 2 series has been confirmed today. 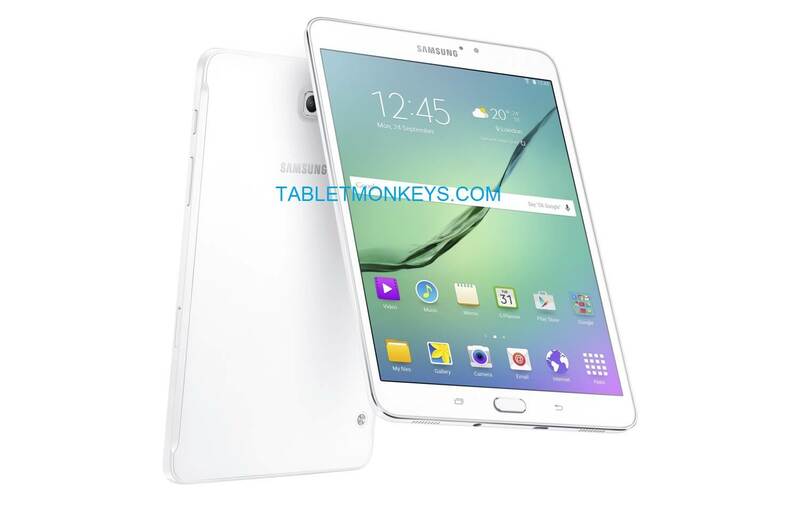 According to a recently published report, the 4G LTE enabled version of the Samsung Galaxy Tab S 2 9.7 (SM-T815, SM-T817) has received both Wi-Fi and Bluetooth certification. While this particular model carries a 9.7-inch screen, a version of the slate with a smaller 8-inch glass was imported into India last month by Samsung for testing. The company plans on destroying the tablet once it is done with it. 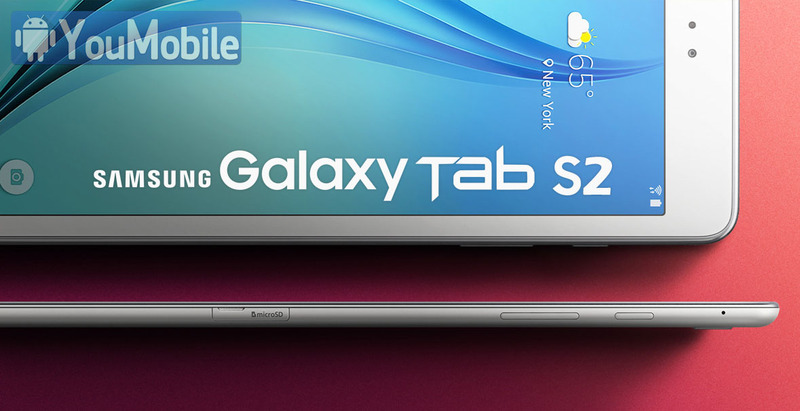 The details that have leaked thus far reveal that both the Samsung Galaxy Tab S 2 8.0 and the Samsung Galaxy S 2 9.7 will be the slimmest tablets available with a thickness of just 5.4mm. 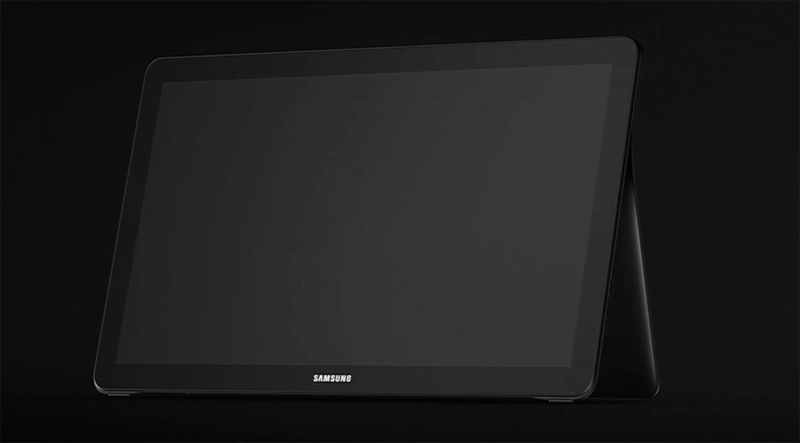 Both tablets will feature a Super AMOLED screen with a resolution of 2048 x 1536 and an aspect ratio of 4:3. The home grown Exynos 5433 CPU is expected to be under the hood with 3GB of RAM inside. Back and front-facing cameras weigh in at 8MP and 2.1MP respectively and a 3850mAh battery will keep both models running. Android 5.0.2 is pre-installed. 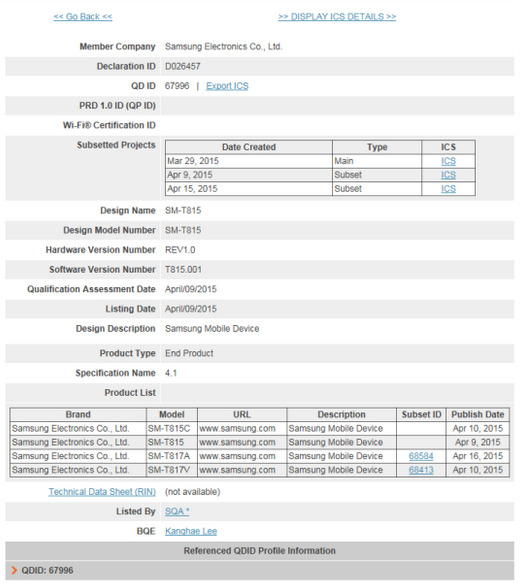 The Bluetooth certification for the Samsung Galaxy Tab S 2 9.7 shows that it will support Bluetooth 4.1. This particular document also reveals other variants of the tablet. 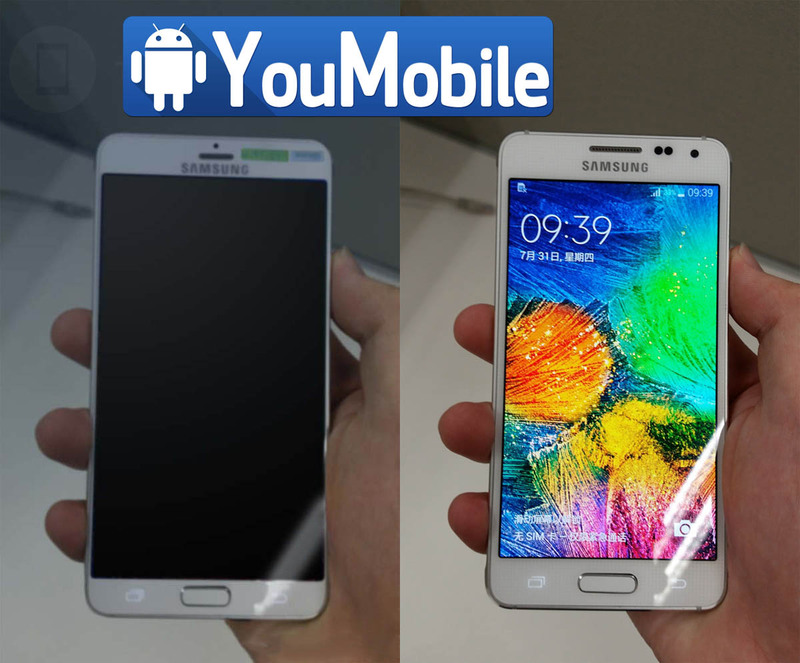 Besides the SM-T815, there will be the SM-T815C, the SM-T817A and SM-T817V. 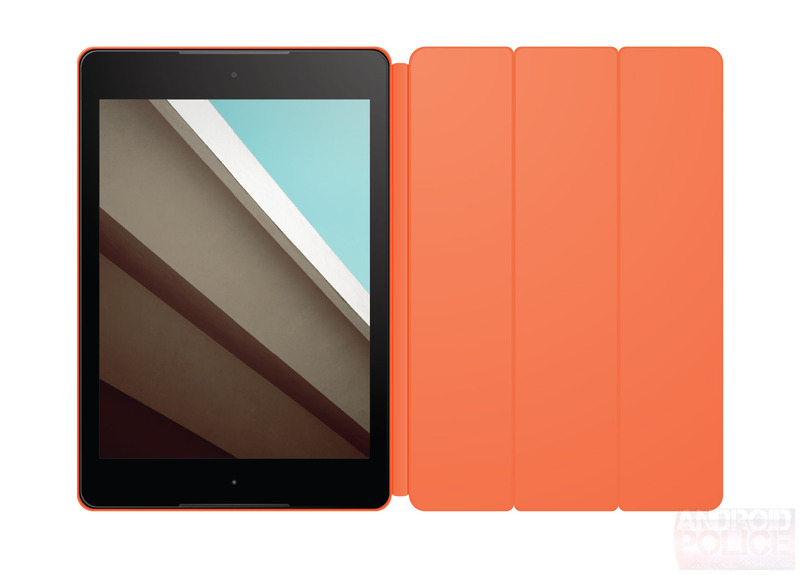 The other versions of the slate could be for different regions, and for a Wi-Fi only version of the tablet. The SM-T715, SM-T715C, SM-T717A and SM-717V are the model numbers that will be used for the smaller 8-inch version of the Samsung Galaxy Tab S 2. 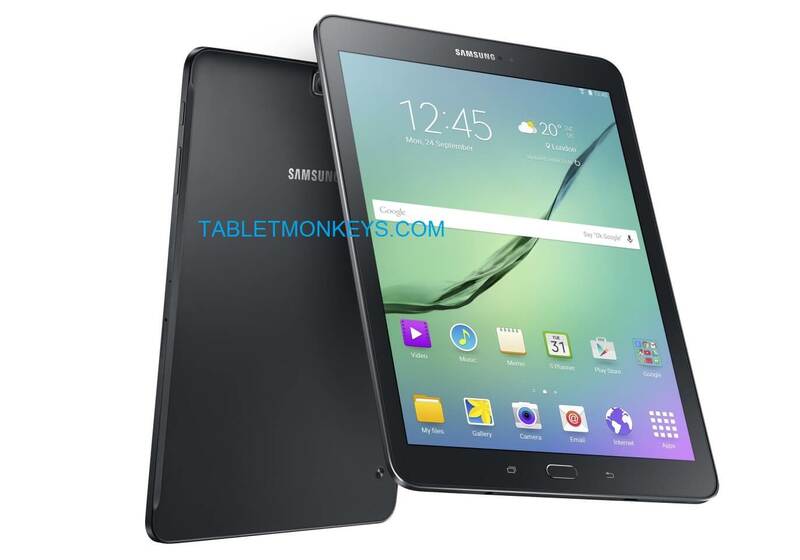 The tablets will replace the currently offered Samsung Galaxy Tab S 8.4 and Samsung Galaxy Tab S 10.5. 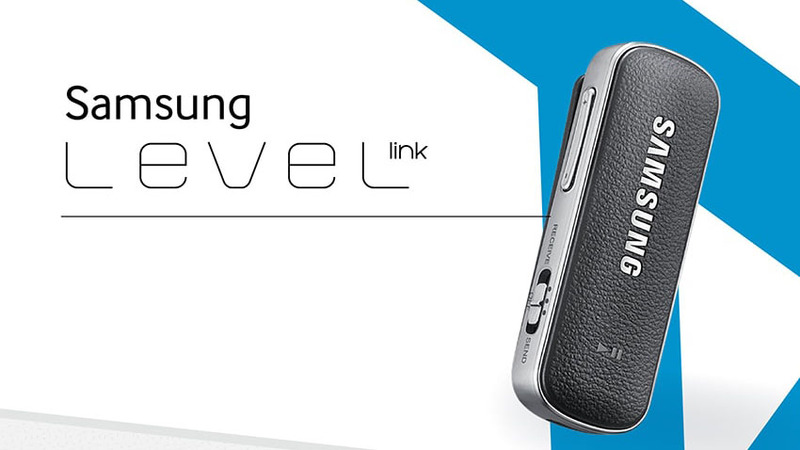 SamsungTomorrow has just published an Infographic that shows the ideas and uses of "Samsung Level Link" which is a small Bluetooth fob that can wireless audio stream to anything from headphones to cars. The idea is pretty simple a switch tells the Level Link if it's transmitting or receiving, then you just have to plug in the old-fashioned 3.5mm audio jack. When acting as a receiver, it lets you stream audio from sources that lack Bluetooth functionality your favorite corded headset or your car's stereo. The transmitter functionality has potential too you can watch TV with headphones but without cables. Check the Infographic below. Google has now confirmed that the new Pixel phones will be unveiled at a press event on October 4. What it means is that we do not have any official photos of the two upcoming flagships from Google yet, but unofficial leaks are there before time as usual. The white Pixel and Pixel XL phones that we see here show a metal unibody design at the bottom with the antenna panel, but glass plating takes precedence on top. As it is actually designed by HTC, one cannot help but be reminded of the HTC One A9 that we saw last year. In case you are wondering, Pixel is the new name adopted by Google this year for their upcoming phones, ditching the Nexus tag for now at least. Also, if you have missed a few updates recently, the Pixel with a 5-inch display is codenamed Marlin and the Pixel XL with a 5.5-inch display is codenamed Sailfish. The two smartphones will probably be powered by the same SD 820 processor and 4GB RAM. Interestingly, the Pixels will also bring Android Nougat version 7.1 with them. 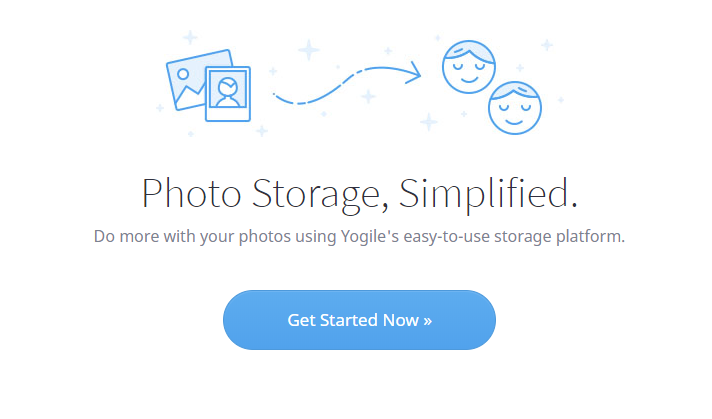 Google continues on its selective shopping spree, having acquired Odysee, a photo and video back-up platform whose apps used to be available for iOS and Android. 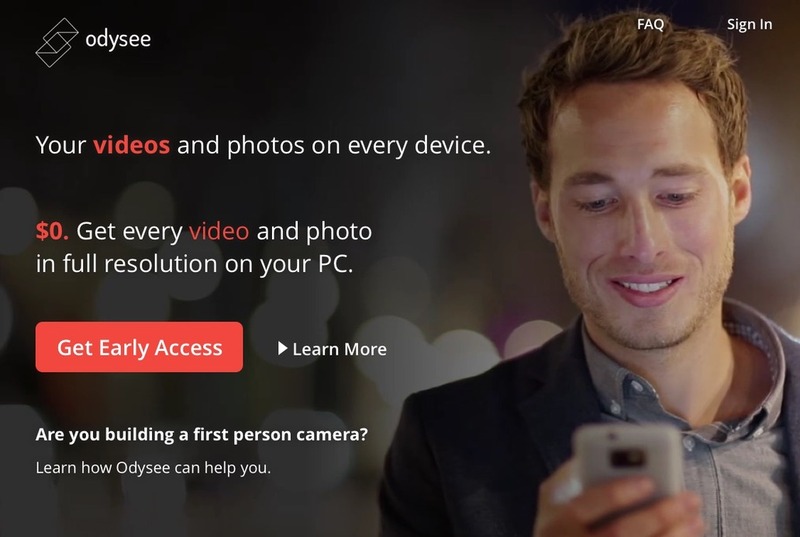 Odysee was more than a simple back-up though, it would upload pictures and video files off your mobile device and feed them to your home computer. 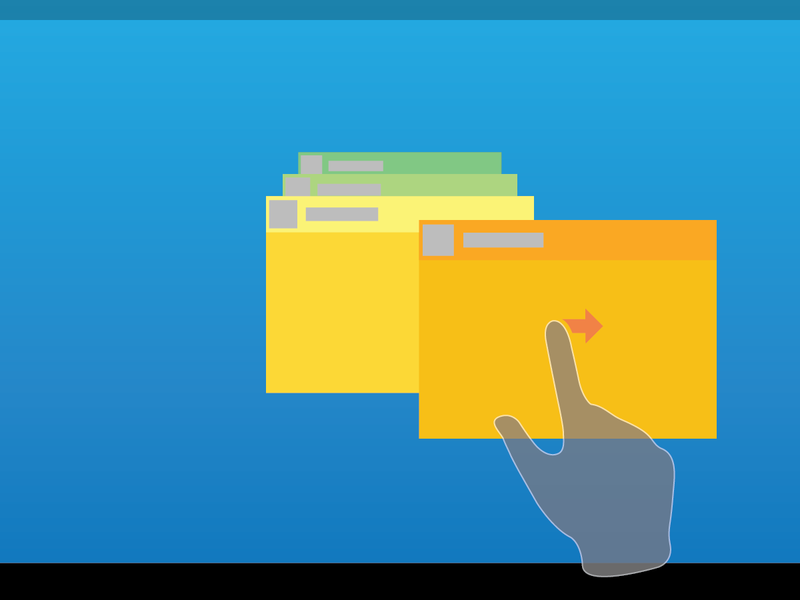 There were a number of private sharing features as well as an open API for developers to integrate their apps with the service. Terms of the buy-out have not been announced. The most detail comes from Odysee's main site saying that the team will be joining Google+. 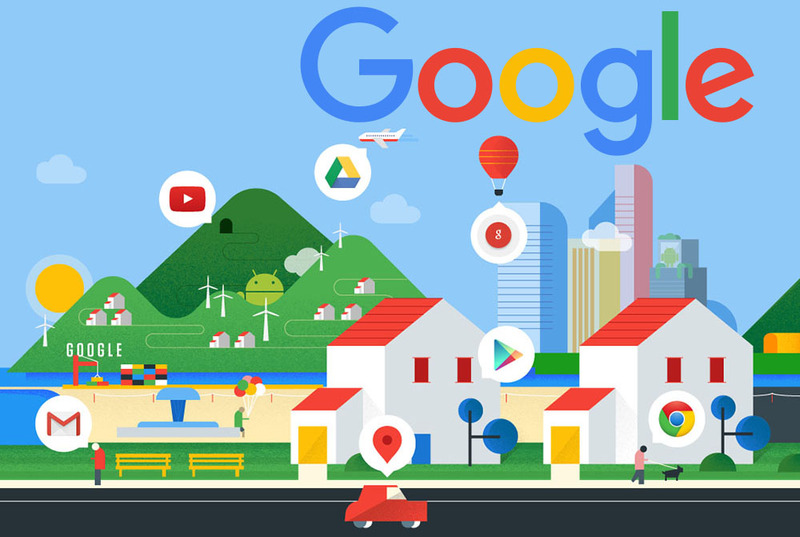 What does that mean to how Google seamlessly backs up, and applies "auto-awesome" to our pictures? We do not know yet, exactly. The Oppo N3 is going to be unveiled on October,29th. We expect that the manufacturer will introduce two separate models. 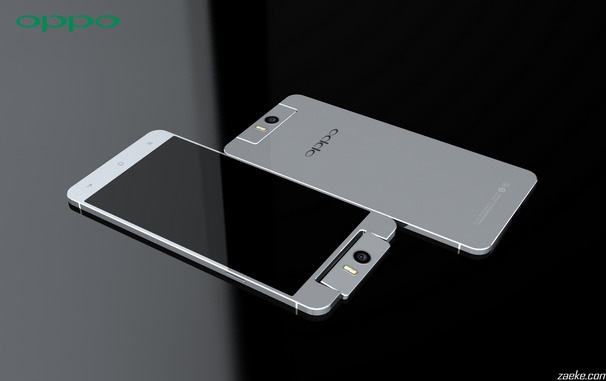 One, made with stainless steel, is expected to be strong enough to keep the Oppo N3 in its original shape. The other model will employ an aluminum-lithium alloy that is lightweight, but tough. The main feature of the phone is the 13MP swiveling camera that allows for 13MP front "selfies" to be shot. The rest of the specs include a 5.9 inch screen with a resolution of 1080 x 1920. A quad-core Snapdragon 805 CPU is under the hood, and 3GB RAM is inside. The unit will use the VOOC flash charger, which allows the battery in the phone to quickly recharge to 75% full in just 30 minutes. The 2016 war of wearables devices is about to start. 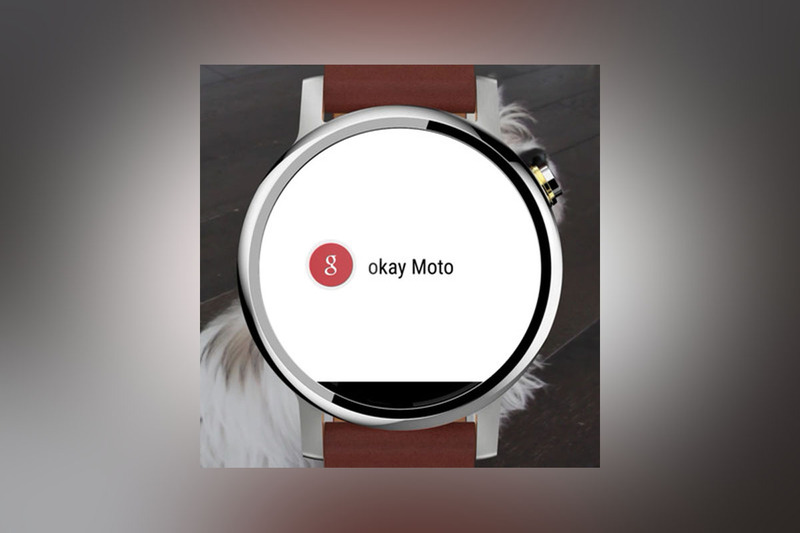 After Samsung leaked its upcoming Gear S2 Round smartwatch on its offiical website, Motorola has leaked the successor of the Moto 360 smartwatch on Twitter. The company posted a render of a mysterious wearable device appeared in one of the manufacturer's official tweets earlier today [The tweet has been removed!]. 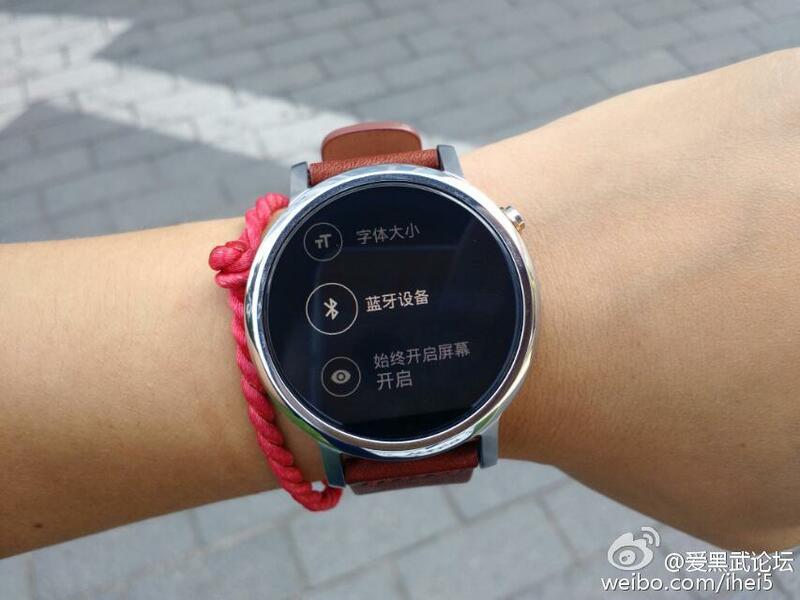 The unannounced smartwatch features a round body, but different button placement than the original Moto 360. While we were preparing this post, Motorola removed the tweet, thus further suggesting that we saw something we weren't originally supposed to. One of the rumored names in Moto 720 or Moto 360s. Curiously, the leaked smartwatch appears to feature a screen that's not fully circular - just like the first-generation Moto 360. 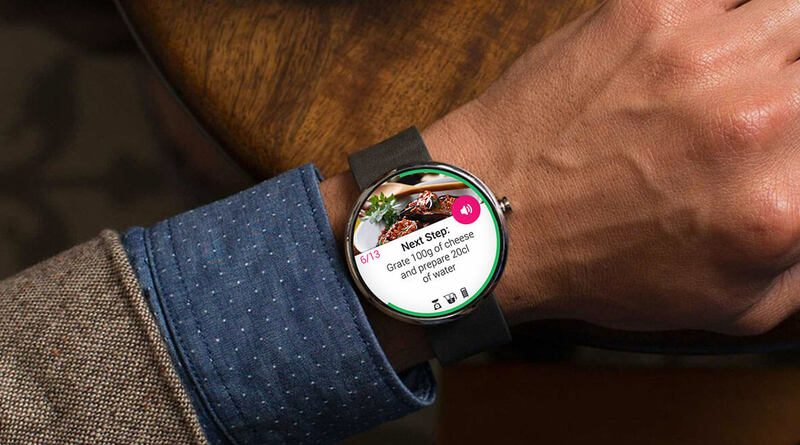 We certainly hope that this will not be the case when the new Moto 360 debuts, as both LG and Samsung have competitors with fully circular displays already available or on the way. 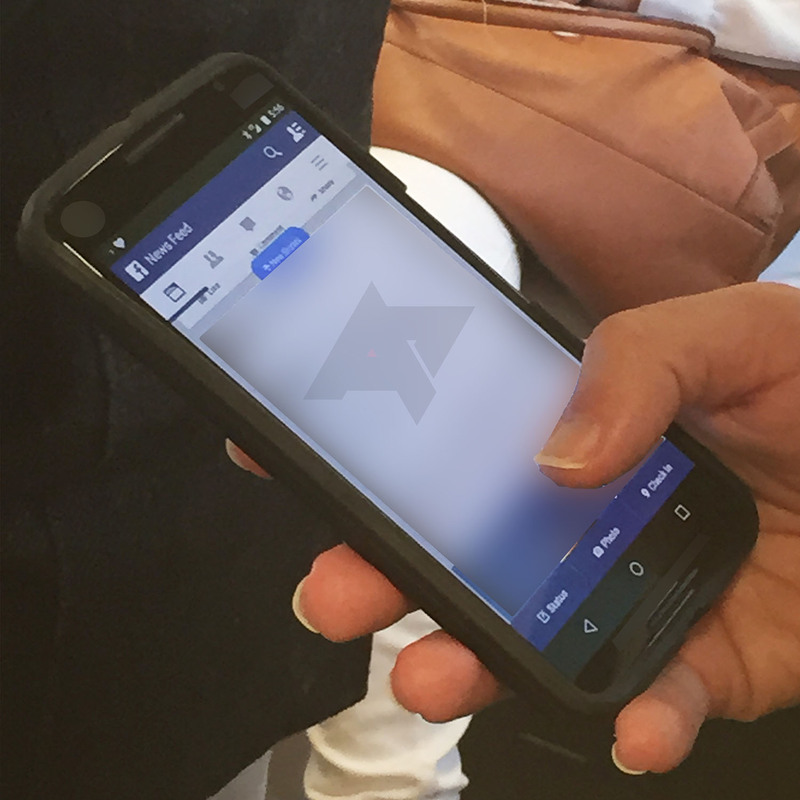 Motorola-made Google Nexus 6 has been spotted in public, yes, we got the first alleged photo of the Nexus 6. Well, these photos is not yet confirmed... 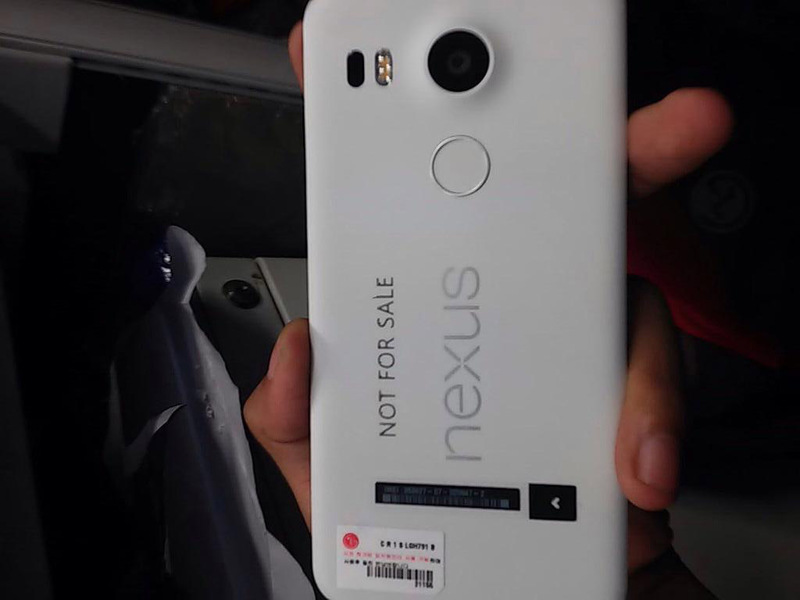 It may be the Nexus 6 or NOT. 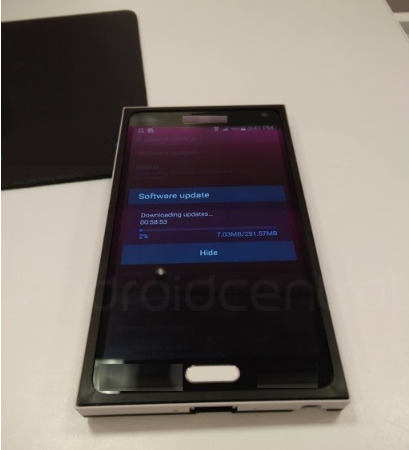 The device looks big (5.9" screen rumored) and it's running Android L (check ourt the software keys). The phone is obviously in a snap-on case of some sort, so we don't have a look at the complete edge, but what we can see aligns with our previous posts the power and volume buttons are positioned more toward the middle of the device, a center-aligned headphone jack, and Android L with new solid status bar icons and smaller, more spaced-out navigation buttons that we've seen a couple of times now. There is one more icon in the status bar, though. 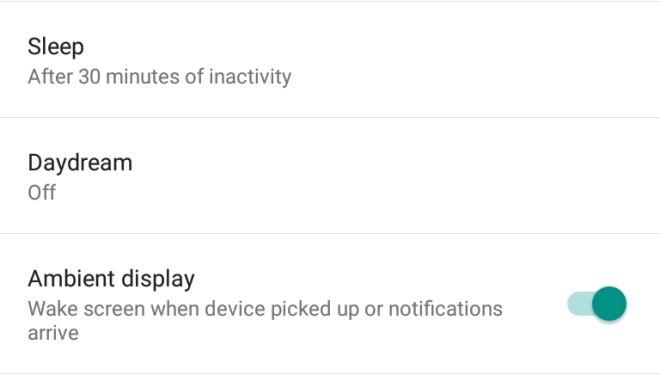 We aren't sure if this is a notification from some third party app, or if it has to do with something Googley installed on the device, but it's there. 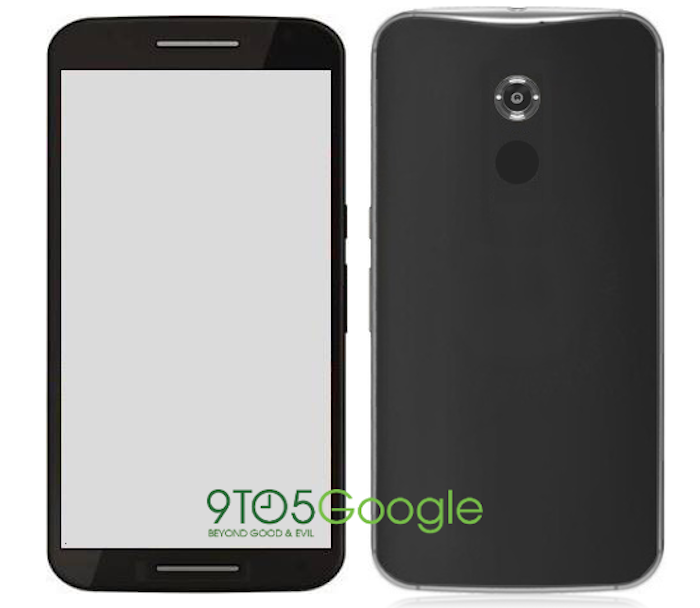 Ladies and Gentlemen, It's Here, the first official photo render of the upcoming Motorola Nexus 6 courtesy of the popular leaker @evleaks. 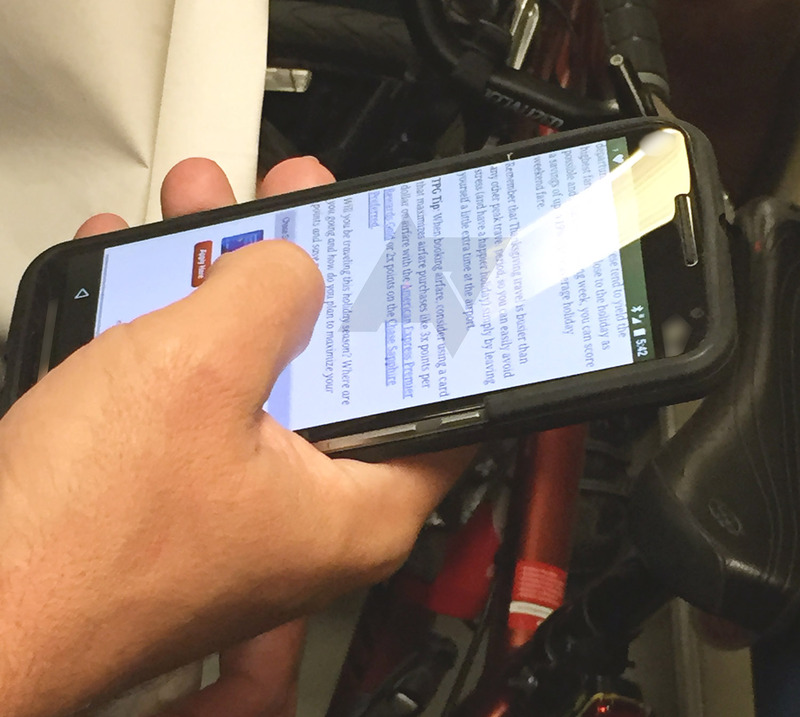 Today, @evleaks tweeted a photo of the Nexus 6 showing us the upcoming long-waited release, Google is expected to release this device this month to be available on all stores worldwide by early November. 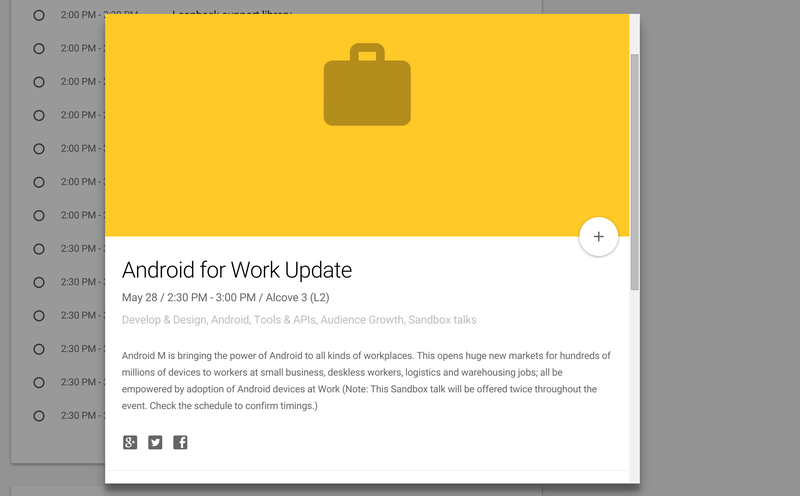 As you can see the Android L UI on the Photo along with the new Material Design Icons. The Nexus 6 will pack a 5.9" QHD display with 13MP camera along and probably SD 805 CPU with Adreno 420 GPU and 2GB Ram but all these specs are still not-confirmed. Inside source on Google officially confirmed to Forbes that Motorola Nexus 6 and HTC Nexus 9 will launch via a Blog post today (October 15th) using the company's official Android Blog. 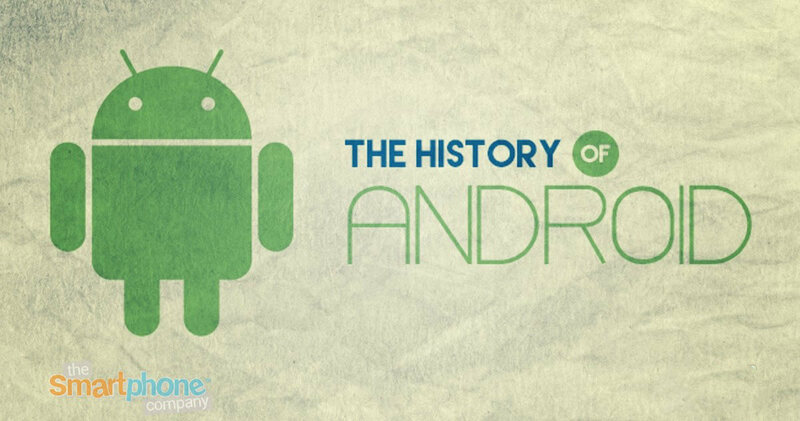 According to the Source, Google decided not to make a big revealing event because Android L is still not ready for release. Both devices will will be available for purchase on November,3rd. 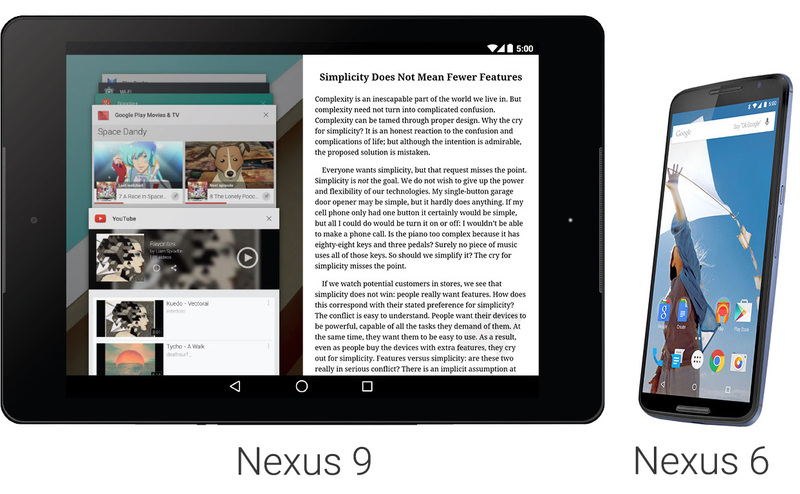 The source also reaffirms many of the rumoured specifications for the new Nexus tablet. Including the 8.9 inch 2048×1440 display, a 64-bit NVidia processor and Kepler GPU, and 8MP rear facing and 3MP front facing cameras. The new tablet will also benefit from HTC's work with Boomsound, as it will feature two front facing speakers. There is also mention of a brushed aluminium frame, rather than a solid metal design. 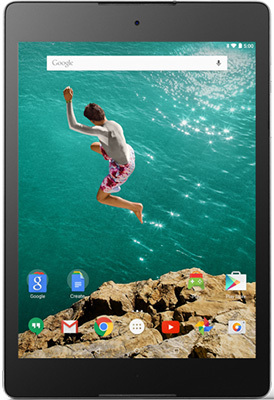 The 16GB HTC Nexus 9 is expected to retail for $399, while the 32GB variant, which also has LTE, will cost $499. 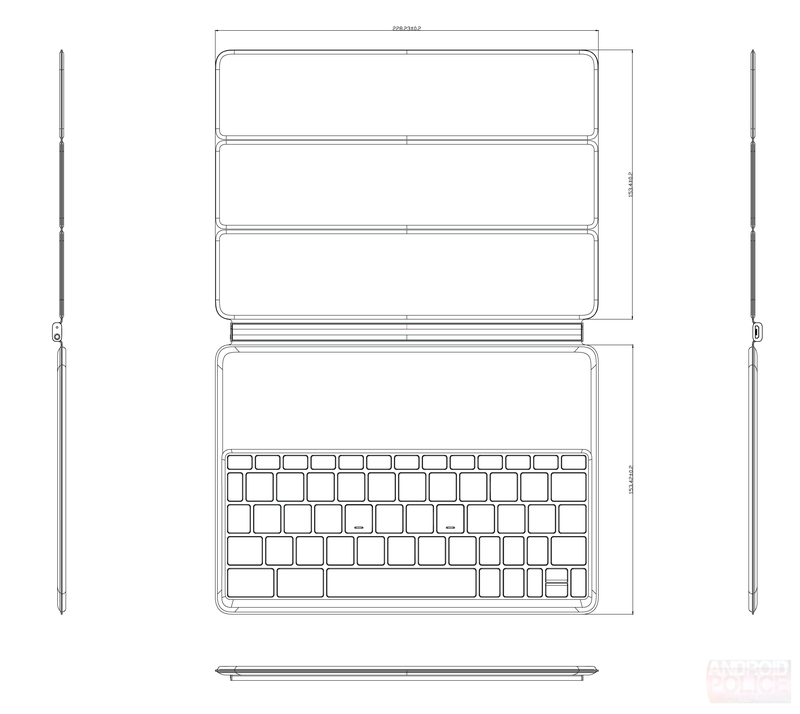 Google is also reportedly going to sell a magnetic stand-case as an accessory for the tablet. 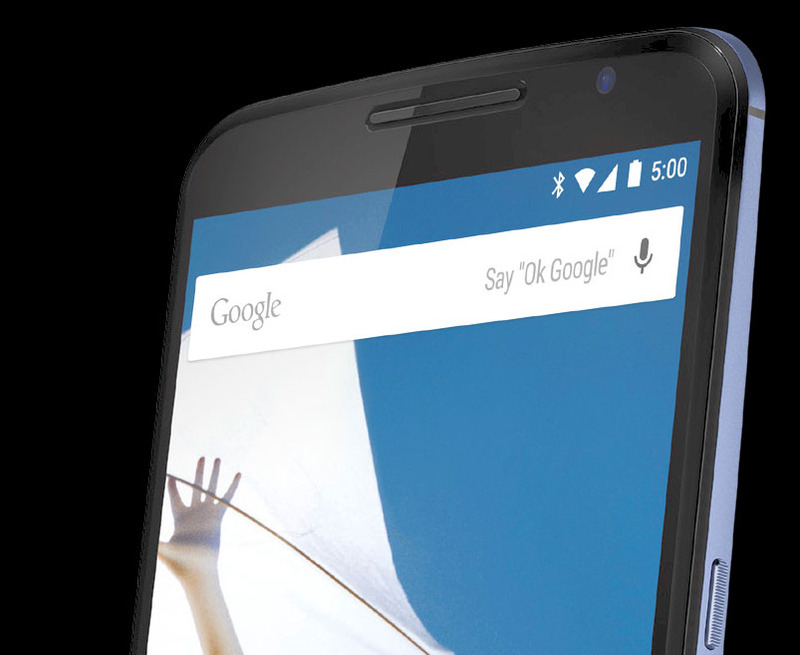 The Moto Nexus 6 is said to go up for pre-order on the 17th of October, and will be available for purchase on November 3rd. While this seems like a large delay, it would give Google time to put some extra polish on Android L. No price annouced yet for the Nexus 6. The HTC-made Nexus 9 tablet is Now official. 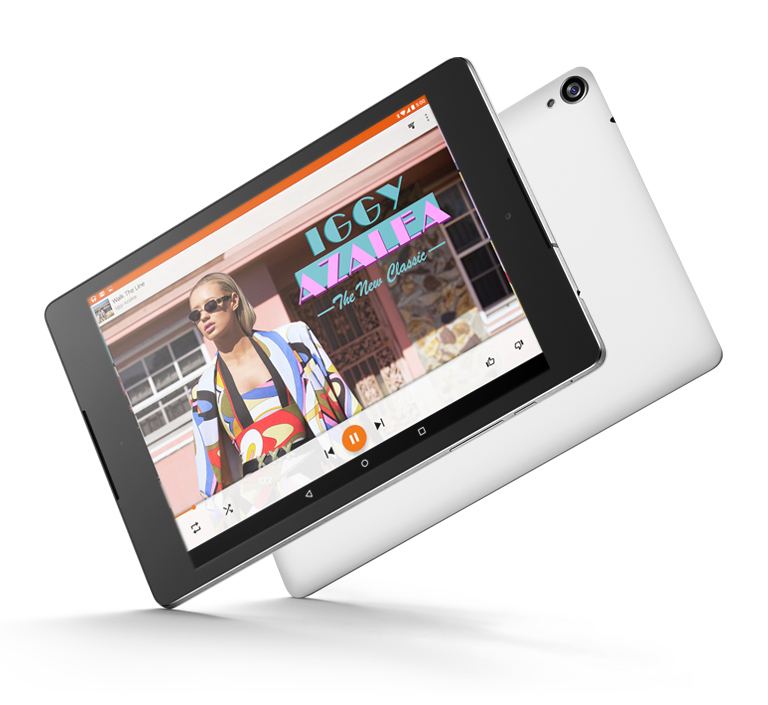 The tablet runs on Android 5.0, which has just been confirmed to be called Lollipop. HTC Nexus 9 packs a 8.99" IPS LCD with the unusual for Android aspect ratio and a resolution of 2048 x 1536 pixels (4:3 aspect ratio). The 7.9mm thick HTC Nexus 9 is powered by the Nvidia Tegra K1 chip with a 2.3GHz CPU, the very potent Kepler DX1 GPU and 2GB RAM. The available storage is either 16 or 32GB, but there's NO microSD slot. Check Full Specs HERE. 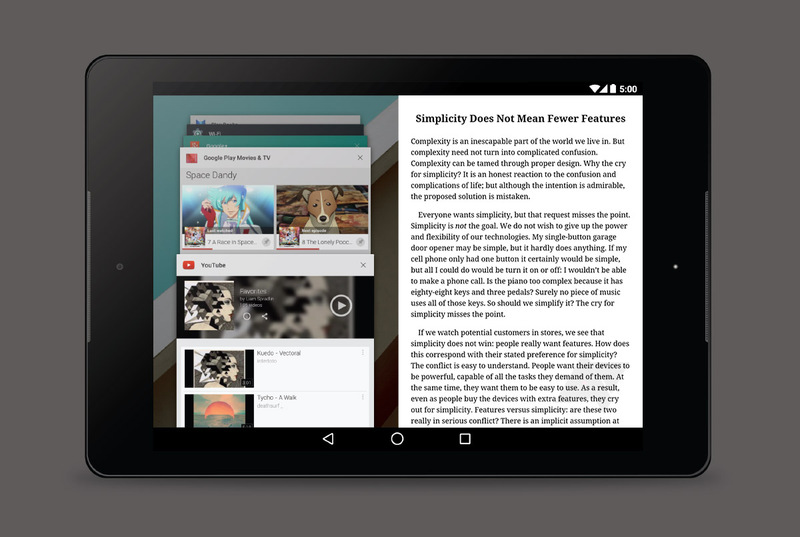 The HTC nature of the Google Nexus 9 shines through with the BoomSound stereo speakers. For your photography needs the tablet features an 8MP rear camera and a 1.6MP front-facing snapper. 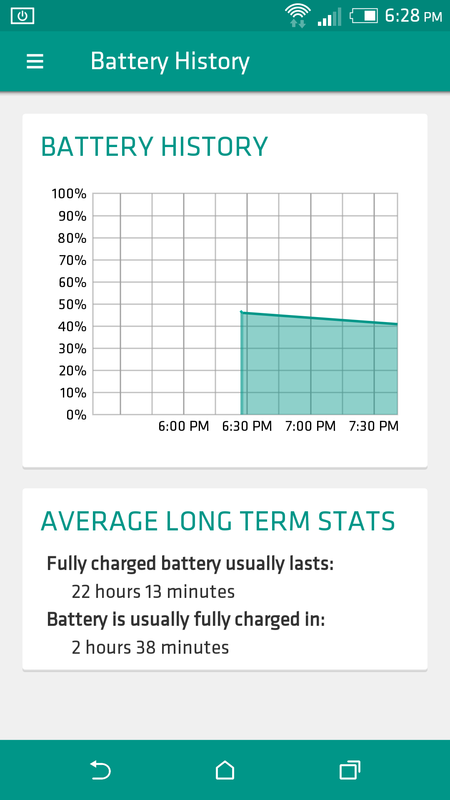 Google fit a 6,700 mAh battery inside the Nexus 9, although it hasn't provided any estimates on how long it will last on a charge. Power users will appreciate the optional keyboard that Google unveiled alongside the slate. 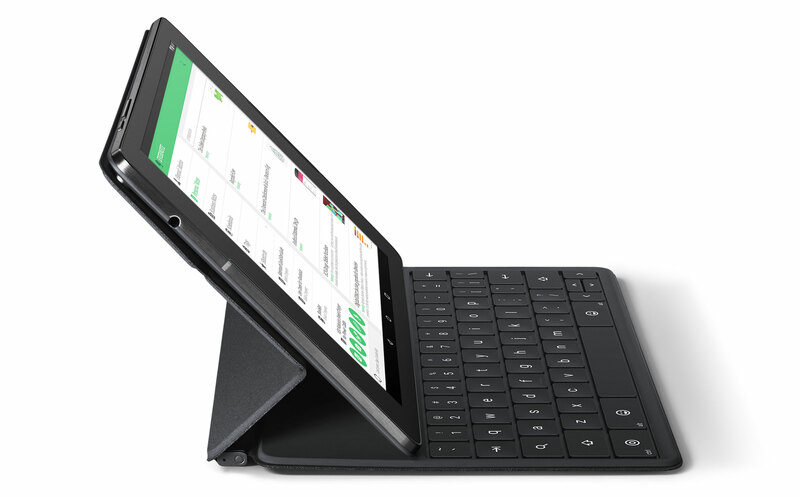 It magnetically attaches to the back of the Nexus 9 and should provide a huge boost to productivity. 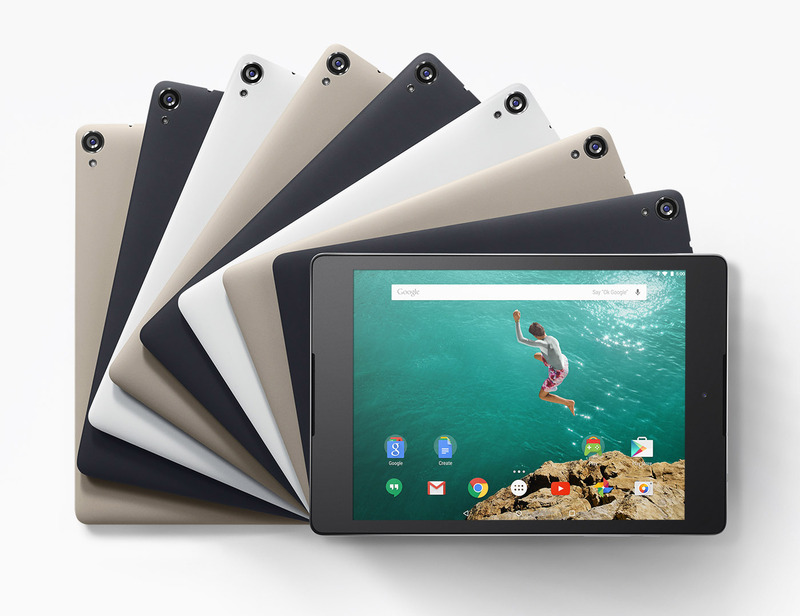 The HTC Nexus 9 will be available in on preorder starting from October,17th, while actual sales begin on November,3rd. Available colors will be black, beige and white. Pricing is yet to be confirmed yet but the expected price is $499. 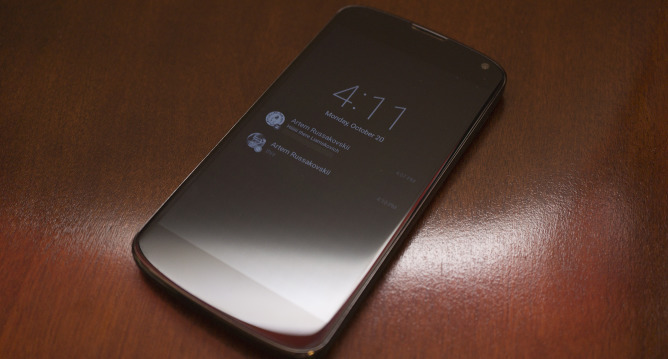 Rumors are spreading around an upcoming LG Nexus 5 (2015) that should arrive this year. 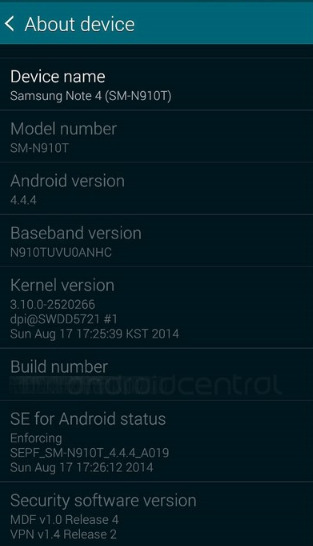 We got the full detailed specs list along with some live photos of this device. 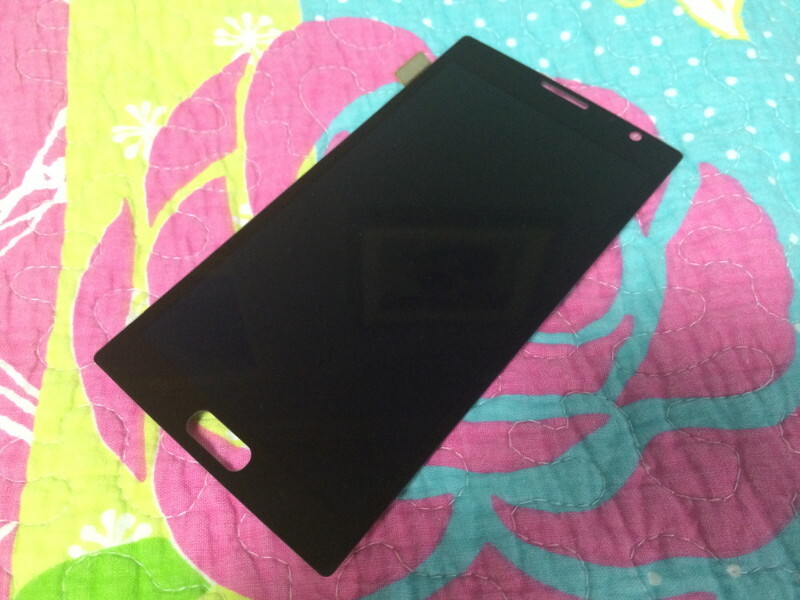 The LG Nexus 5 (2015) alleged live photo above gives us a hint of how the device will look like upon the official release which will be on September 29th, according to a South Korean media outlet which cited a credible source. 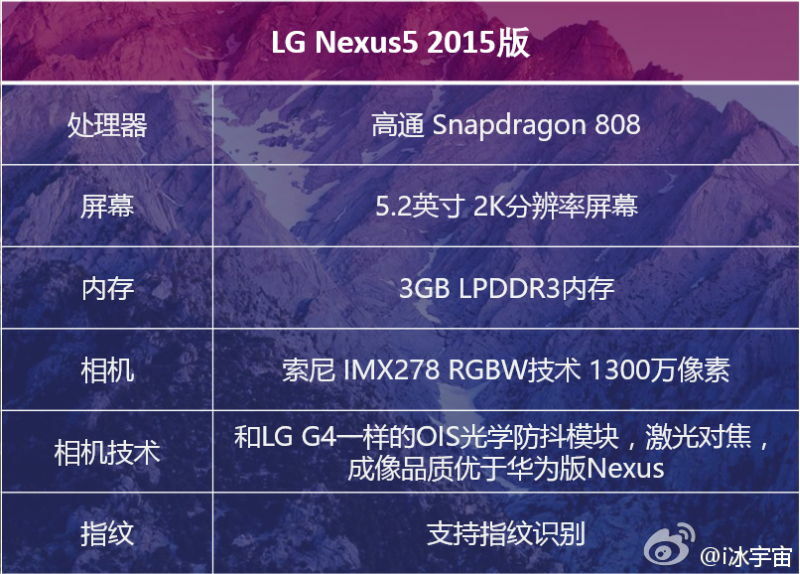 As far as the 2015 LG Nexus 5 spec and features goes, according to some Chinese sources, it will be packing Snapdragon 808 chipset, 5.2-inch 2560 × 1440 display, 3GB of LPDDR3 RAM, 13MP camera with the same OIS tech like the one included inside the LG G4 along with a fingerprint sensor, USB Type-C connector and running Android 6.0 Marshmallow out-of-the-box. There was, however, no word on the release date of the Nexus device being manufactured by Huawei. If you aren't already aware, two Nexus handsets are expected this year the one from LG is said to sport a 5.2" screen, while that from Huawei is said to be a 5.7" phablet. A Photo of the Sony Xperia Z3 Tablet Compact has been leaked from an advertising poster that shows the tablet in white. Along with the photo there is also some info about the Z3 tablets's Specs. According to the source of the information, the tablet packs an 8" IPS display of 1080p resolution. It packs Sony's Triluminos screen with the X-Reality picture processing engine and an additional layer to decrease reflection. Under the hood, the Xperia Z3 Tablet Compact is said to feature a Snapdragon 801 MSM8974AC chipset with a Quad-core CPU, 3GB RAM and 16GB of internal storage. There's no information whether a microSD card slot is available, but Sony fitting one is more likely than not. At the back, the tablet features an 8MP camera with an Exmor RS sensor, presumably with LED flash. The battery is rated in the 4500-5000mAh range and connectivity is comprehensive with LTE, NFC, Bluetooth 4.0 and Wi-FI 802.11ac. Purple had become a sort-of trademark color for Sony's premium Xperia Z line, until the Xperia Z3 came along and broke the streak. The fourth-gen Z flagship added Copper and Green to the traditional Black and White color options, but Purple may soon make a comeback. And not a moment too soon either, the Xperia Z4 family is expected at the MWC 2015 in early March so the window for Z3 launches is closing. ePrice has gotten hold of unreleased product images. 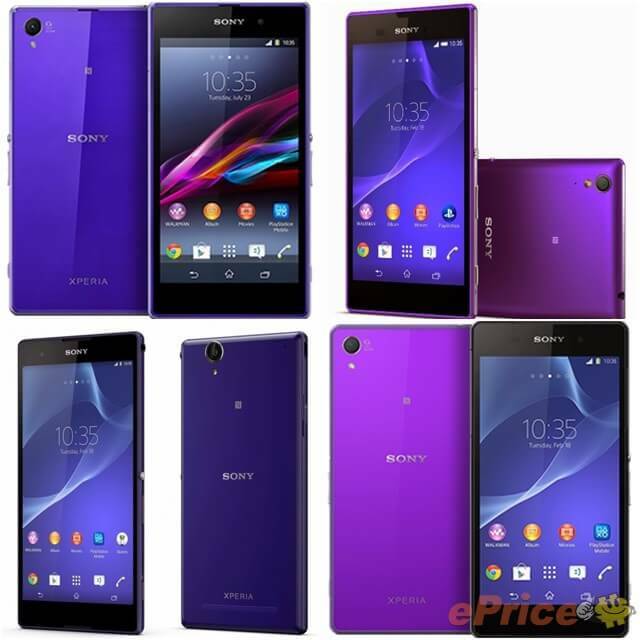 It looks like there will be two versions one dark purple and one that's a more traditional Xperia purple. We have gotten a sneak peek at LG's upcoming Android Wear smartwatch, apparently known as the LG G Watch R. The video LG released earlier didn't really show much, other than brag about the fact that it will have a full circle Rounded display. 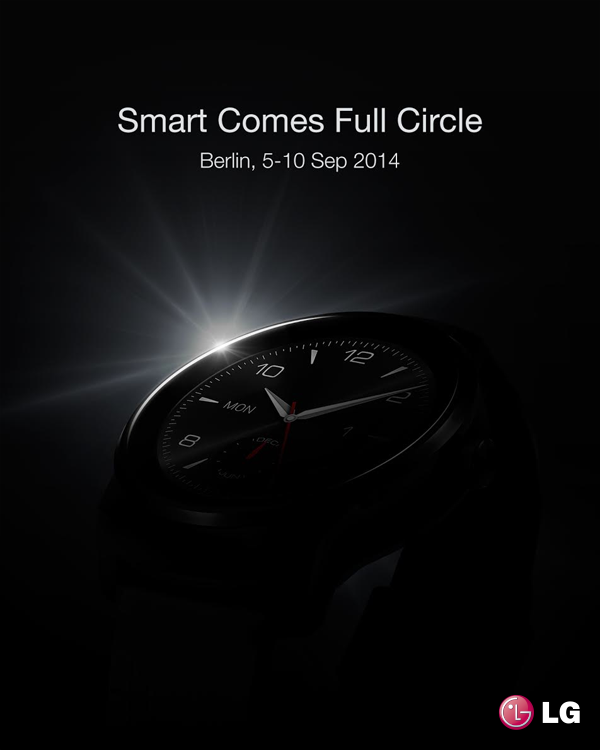 LG has now posted an image of the watch on its Facebook page, which gives a slightly better look at the watch. It is about as traditional looking as it can get and with the default watch face looks pretty much like any other watch. Today, we have a photograph of that very same handset that was featured in the video, wearing the same exact case. 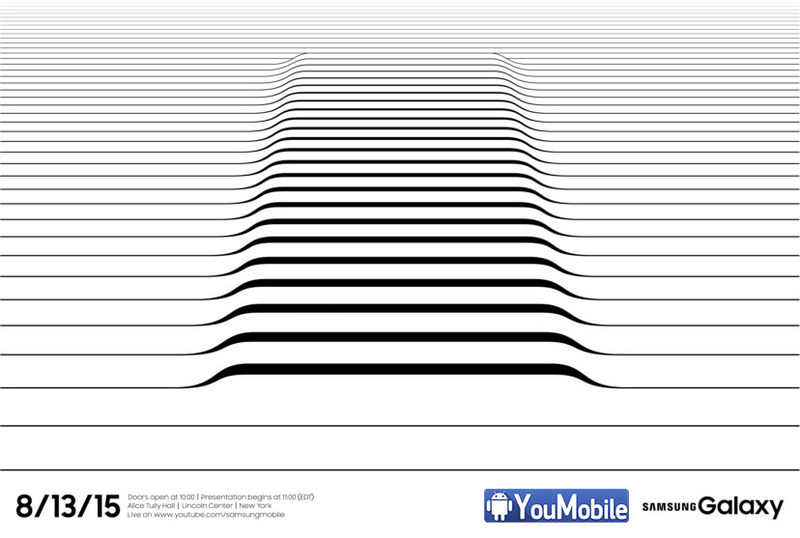 The Samsung Galaxy Note 4 will be introduced on September 3rd at the Samsung UNPACKED event in Berlin. The festivities start at 2pm Berlin time. 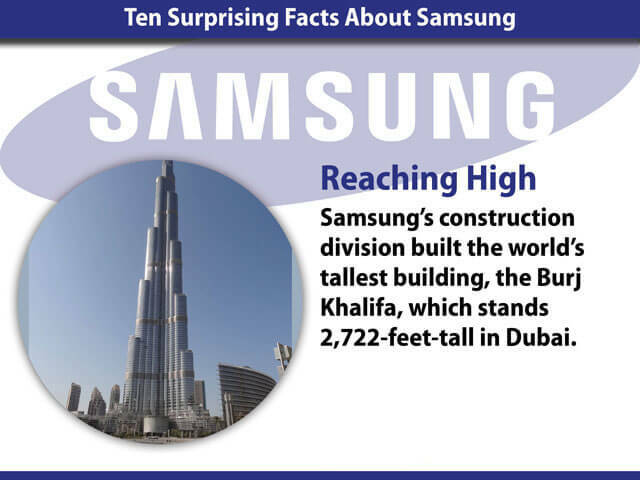 More than ever, Samsung is relying on its top-shelf phablet to help it reverse course financially. The company has had a couple of tough quarters, and even the Samsung Galaxy S5 couldn't bail out the manufacturer. 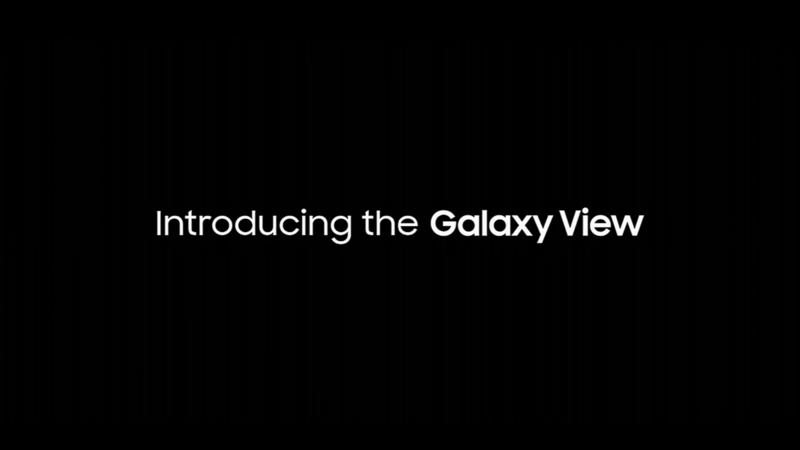 This could be why Samsung has started teasing the device with a number of internet videos. Today we brought you the first photo showing the Samsung Galaxy Note 4 to feast your eyes. It's just the front panel of the phablet that got pictured. It seems to have undergone a photo shoot somewhere in the wild, and it shows a design that's extremely similar to that portrayed by the earlier images. The images source has been taken down after 2 hours. 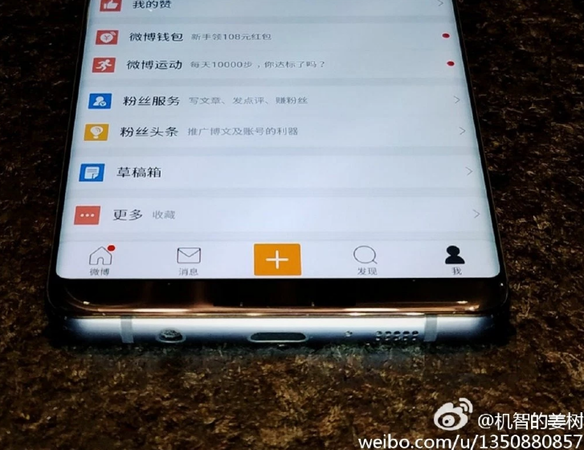 The cutouts for the front camera, speaker, and Home button are all where you'd expect them to be, and you can see where the capacitive touch buttons will go alongside the Home button too adhering to Samsung's standards in terms of placement. 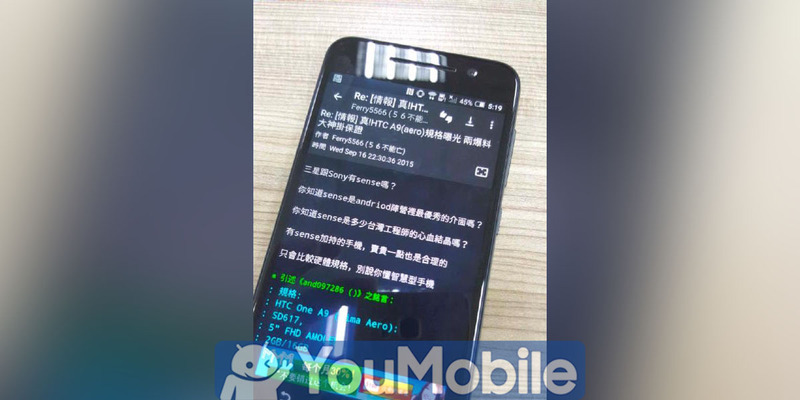 The Moto X+1 is starting to leak a lot, now that we're getting ever closer to its September,4th unveiling date. Most recently, the next Motorola flagship smartphone had most of its specs confirmed by a benchmark. 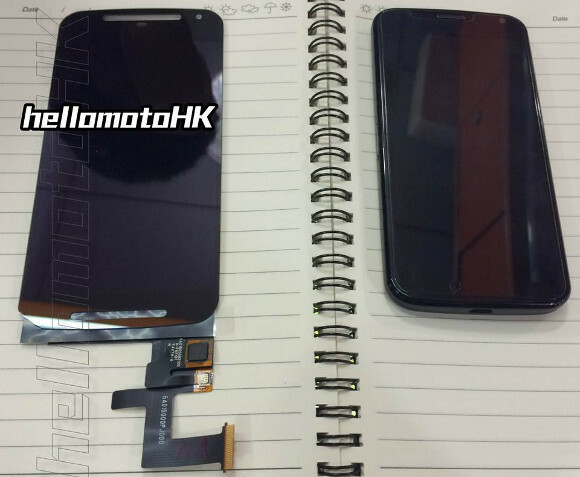 And now its purported front panel got leaked, smiling for a few comparison shots with the original Moto X from last year. 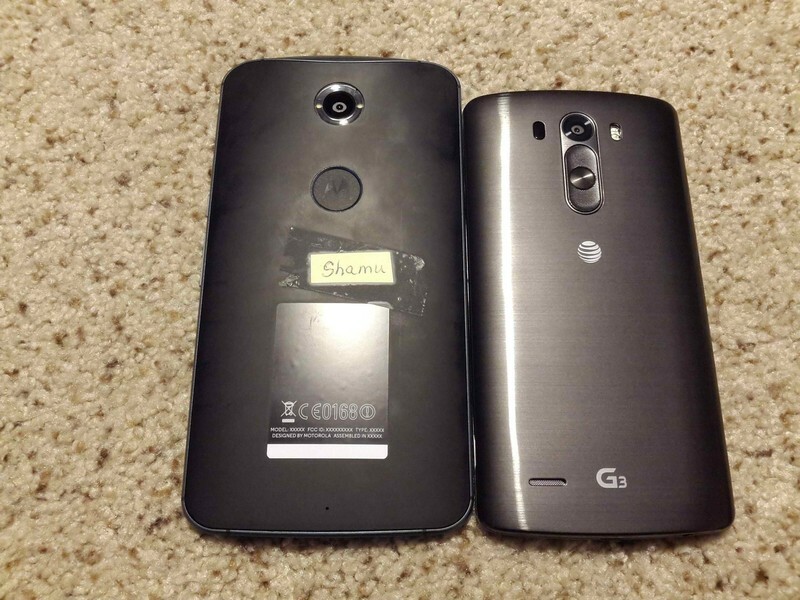 Both in the image above, and in the one below, you can see the leaked Moto X+1 front panel on the left, with the original Moto X smartphone hanging around to its right. Right off the bat the 5.2-inch screen size that has been rumored many times so far seems pretty much confirmed, given the perceived size difference between the two units. And once again Motorola looks like it has been able to create a very pocketable device, if we go by the bezels of this panel alone. 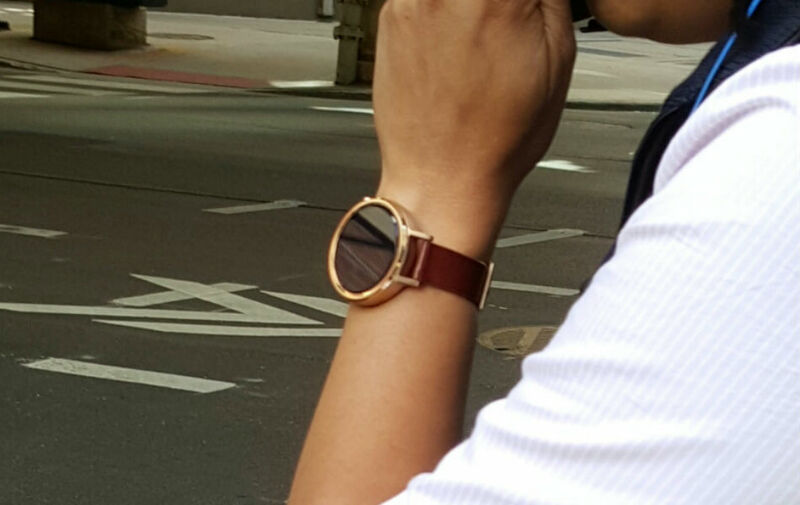 Motorola is definitely going to release a successor for its last year's Moto 360 smartwatch, we saw many leaks and rumors about the new Moto 360. 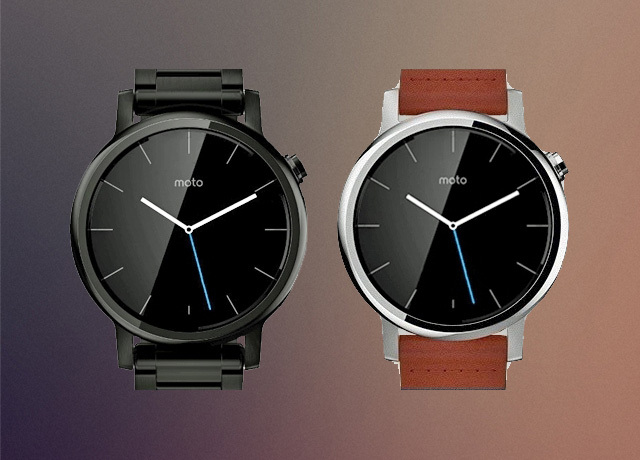 Today, we got the first official renders of the Next-generation Moto 360 smartwatch. 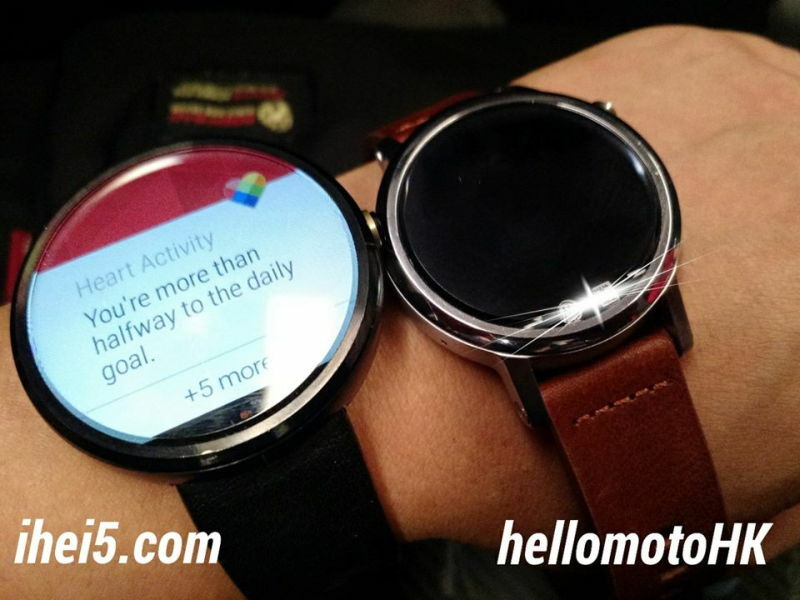 The new renders show two slightly different size variants of the next-gent Moto 360. 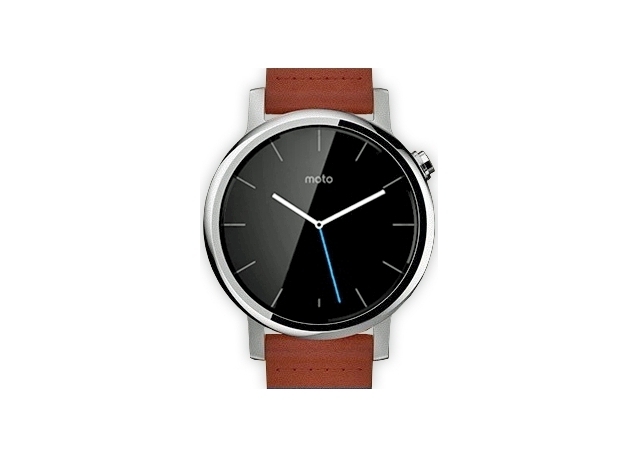 As previously reported, the larger model could be called Moto 360L (or Moto 360 2 L), while the smaller one might be dubbed Moto 360S (or Moto 360 S). It's said that the former has a 375 mAh battery, while the latter comes with a 270 mAh one. 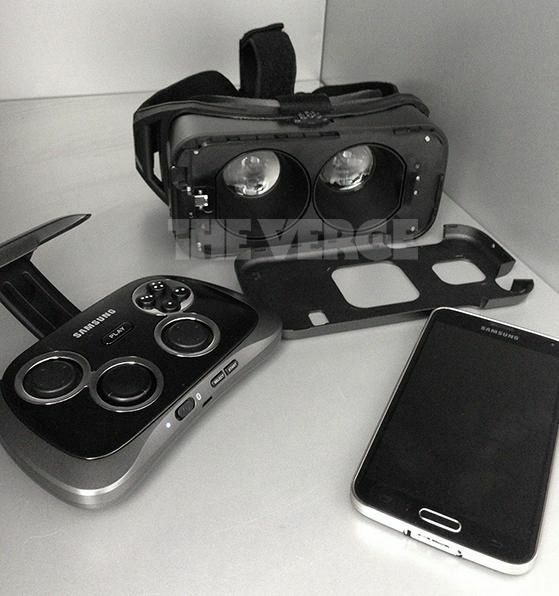 Both may offer displays with resolutions of 360 x 360 pixels. For now, we don't know anything else about the two new smartwatches. 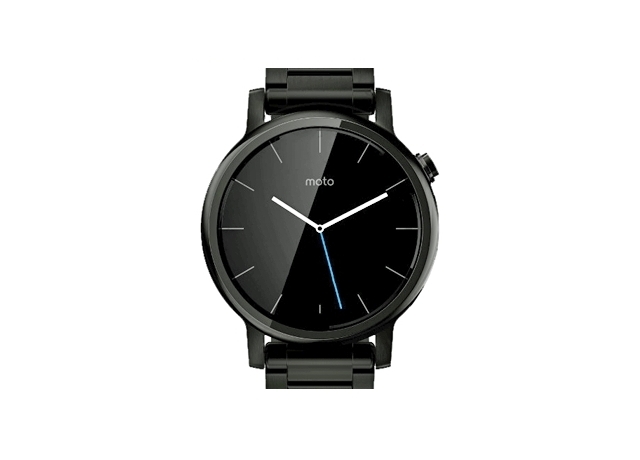 Motorola may plan to announce its new Moto 360 smartwatches next week at IFA 2015 in Berlin, and we assume that both will be available to buy in the near future. Android 5.0 Lollipop was just announced yesterday and it already got its statue on Google's Headquarters at the Moutain View campus. 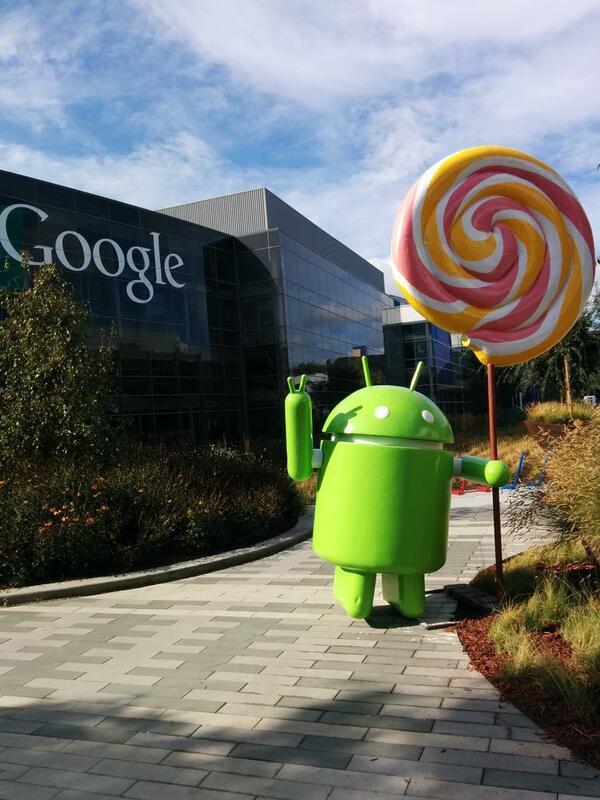 Google has taken the wraps off of the new Lollipop statue and it looks awesome (Photo above). It's exactly what you might expect an Android Lollipop statue to look like: it's an Android bug character holding an oversized pinwheel lollipop and throwing up a peace sign with his other limb.